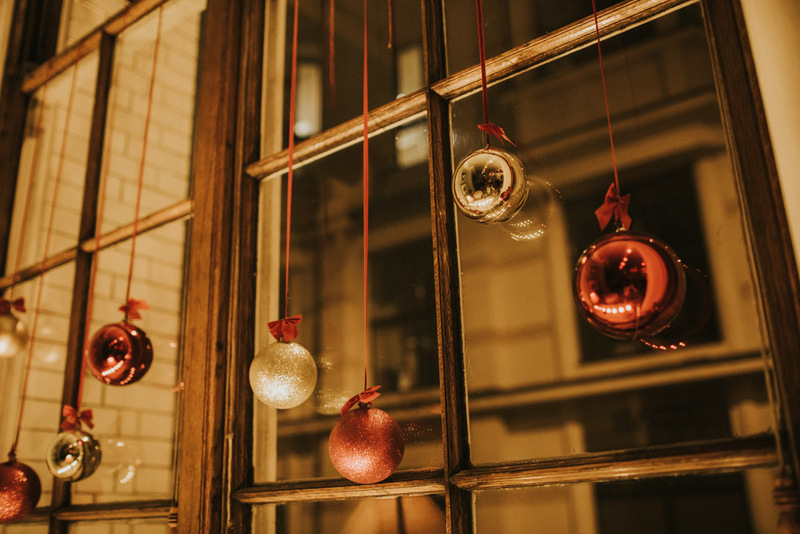 I mean we all know that the crazy amount of excitement a few days before Christmas is one thing, and it doesn’t matter if you a kid or an adult… we know it’s still there right!? 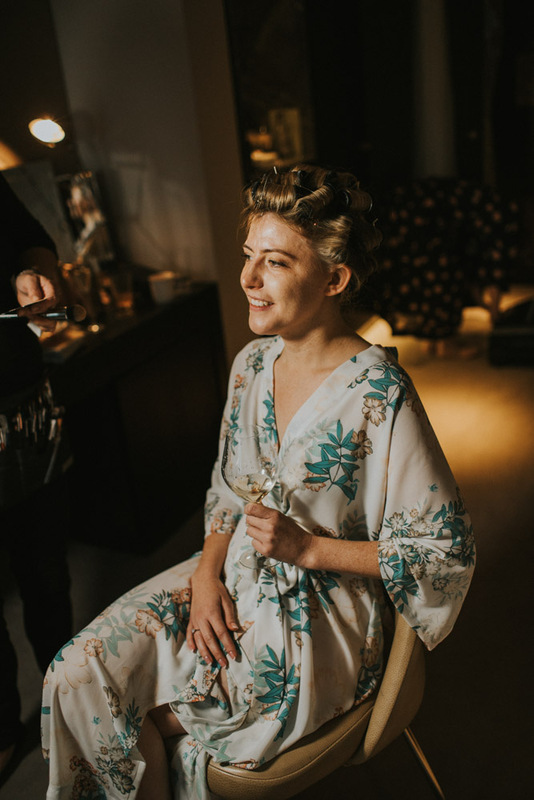 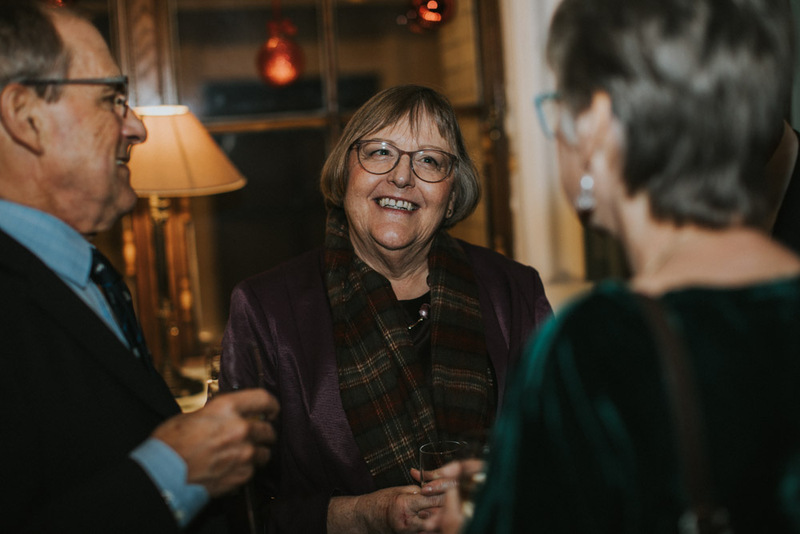 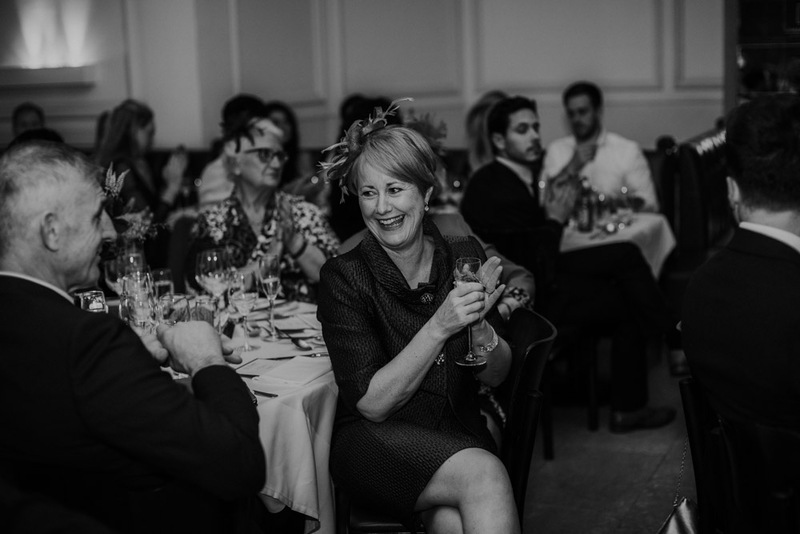 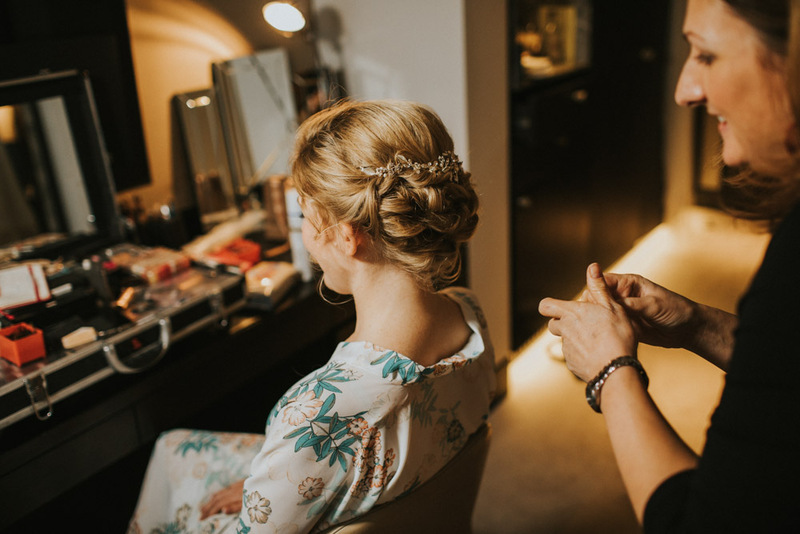 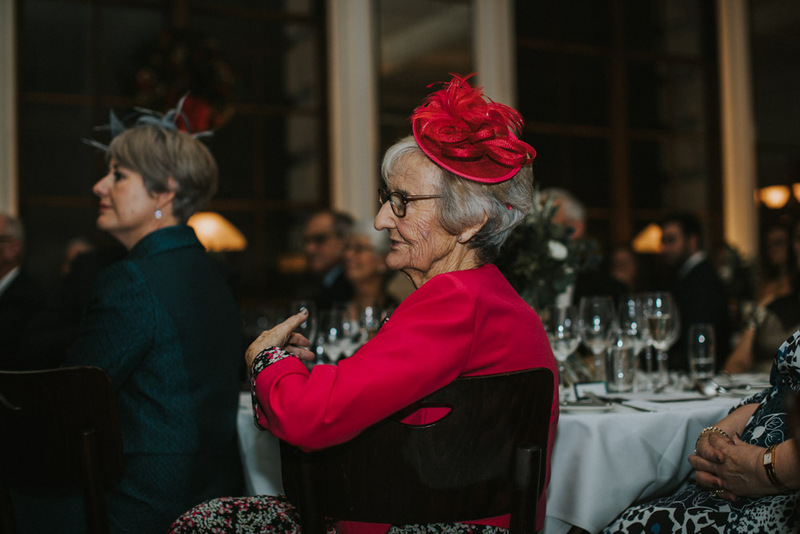 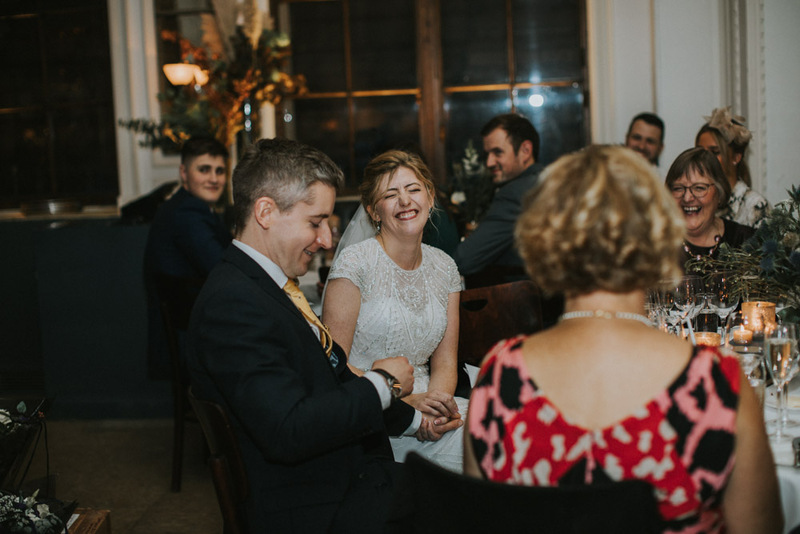 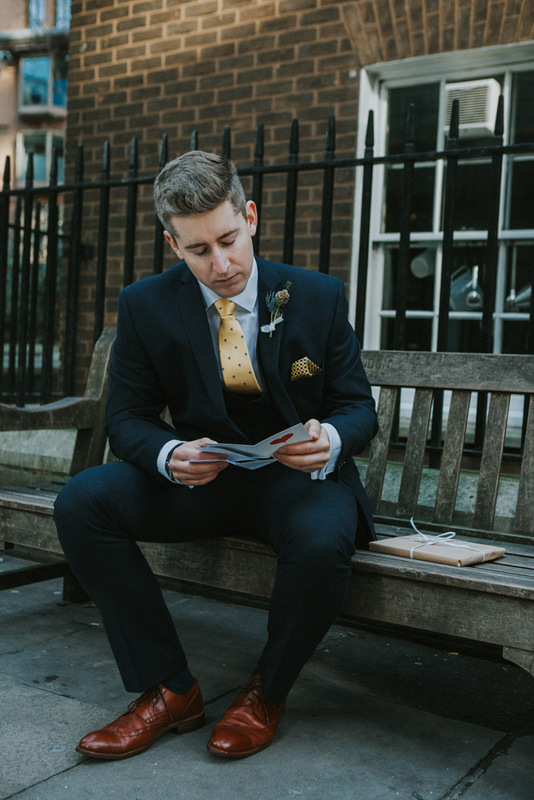 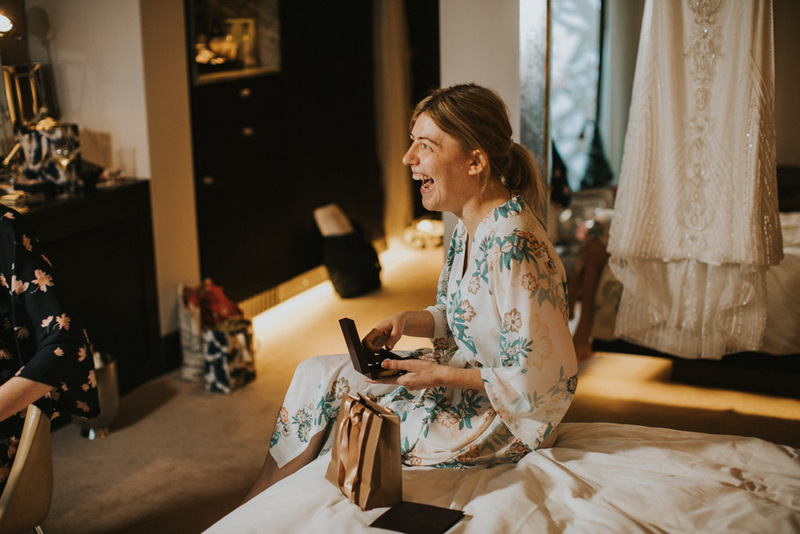 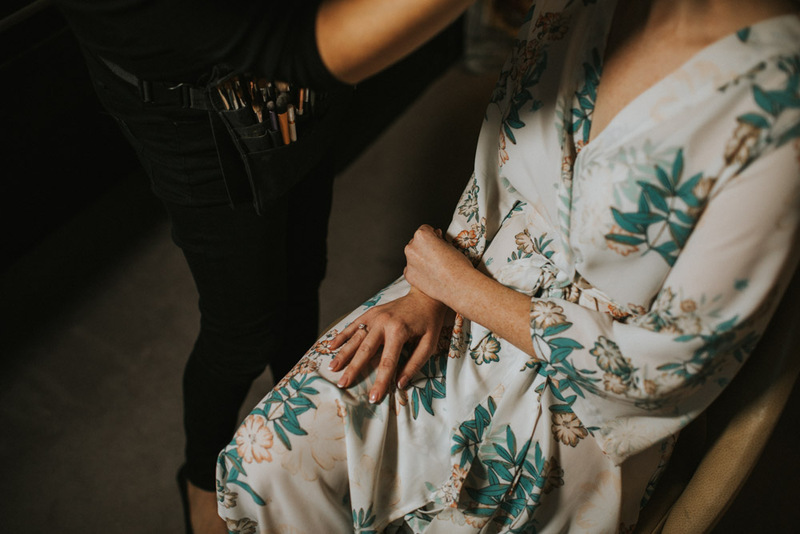 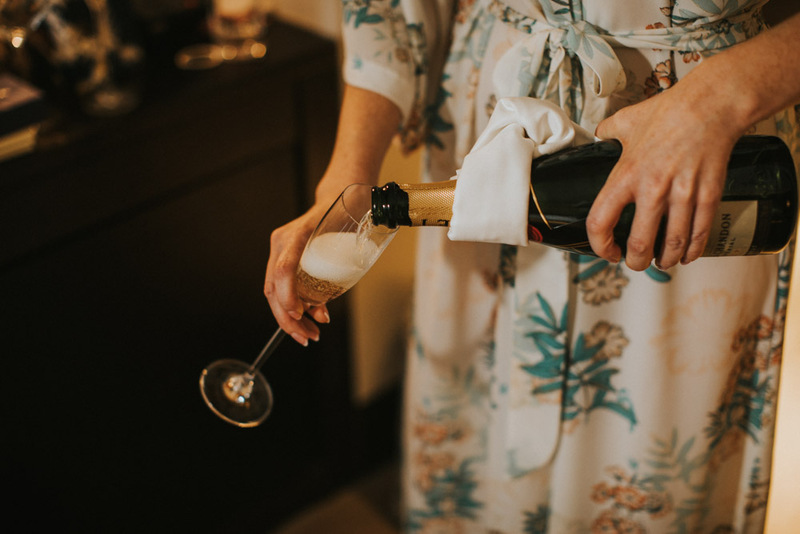 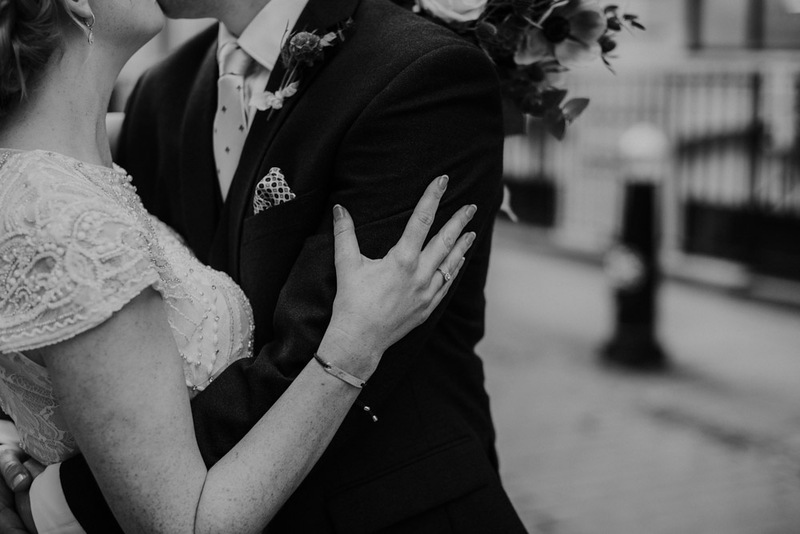 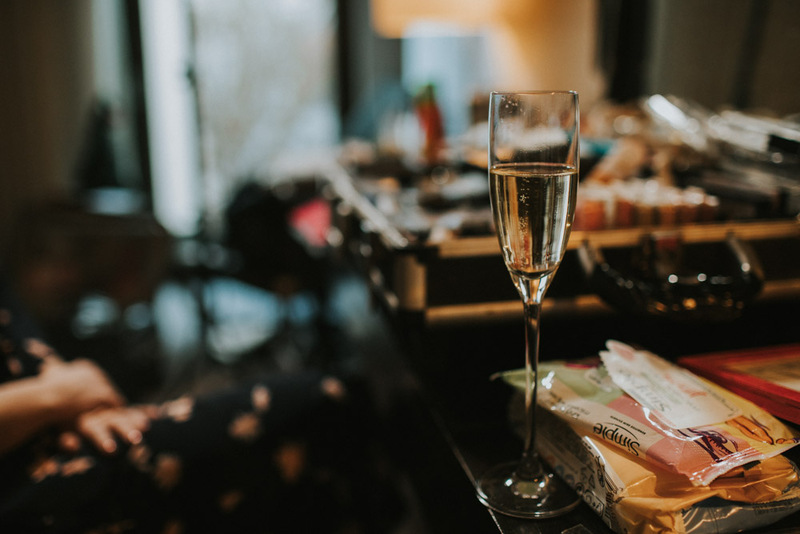 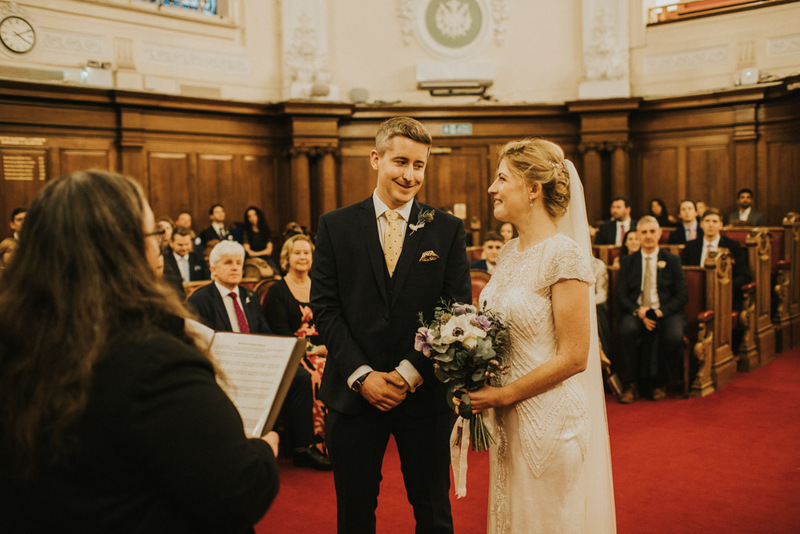 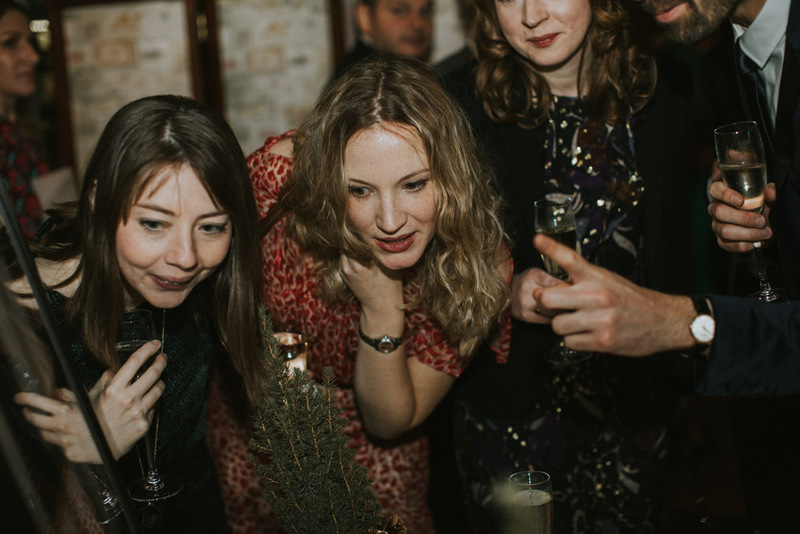 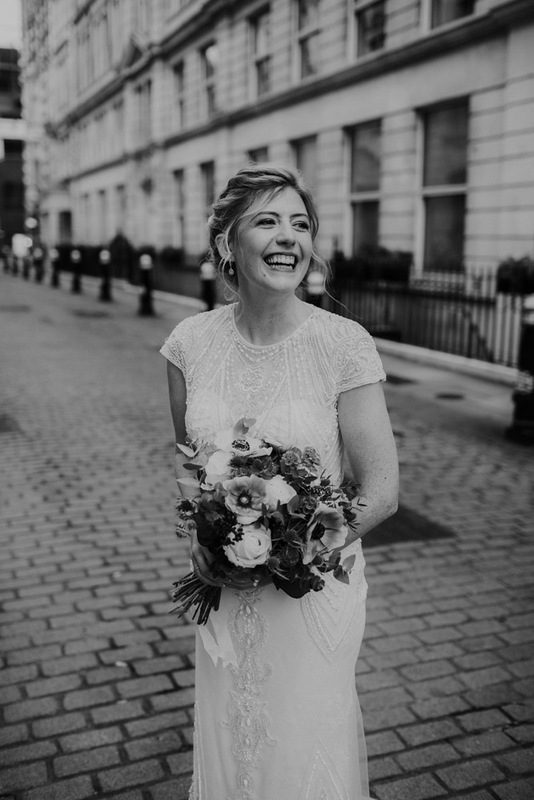 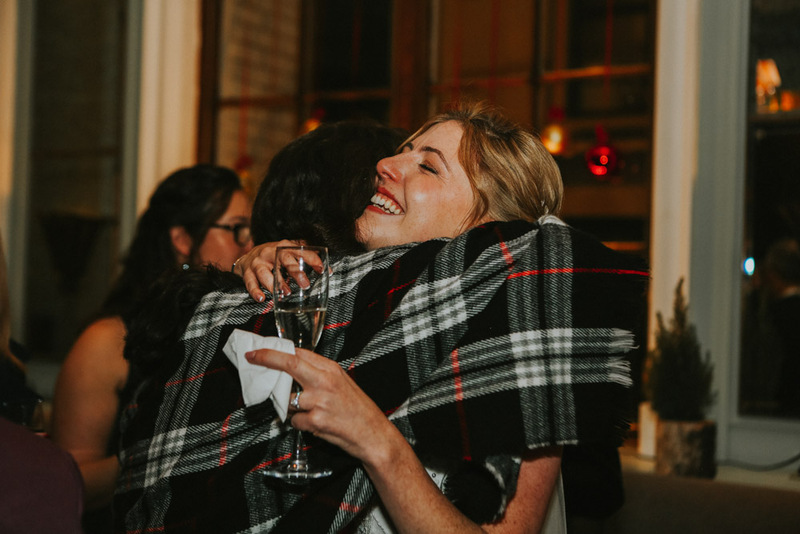 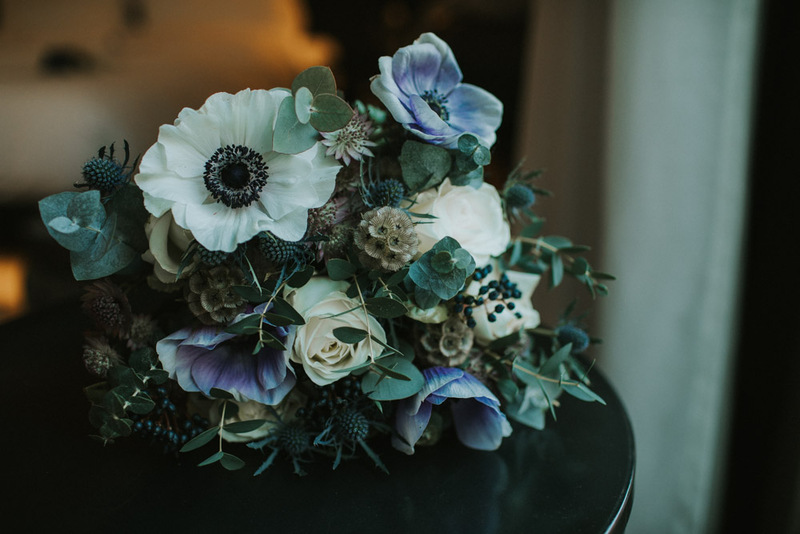 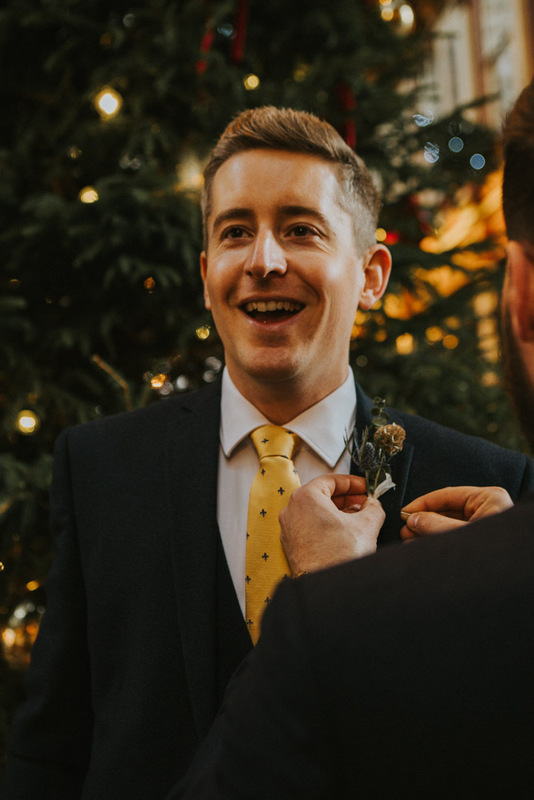 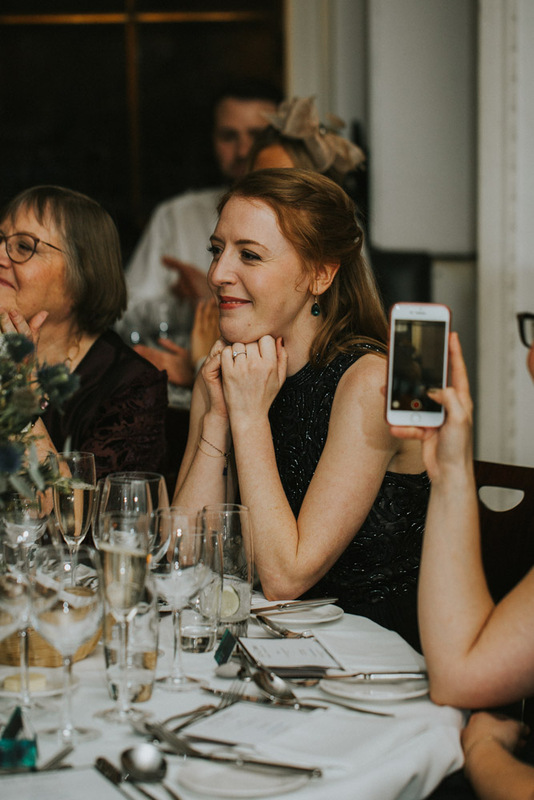 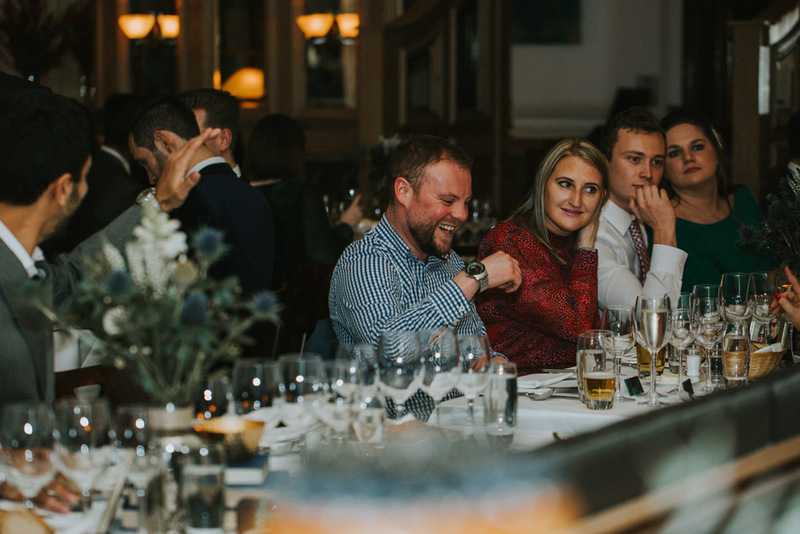 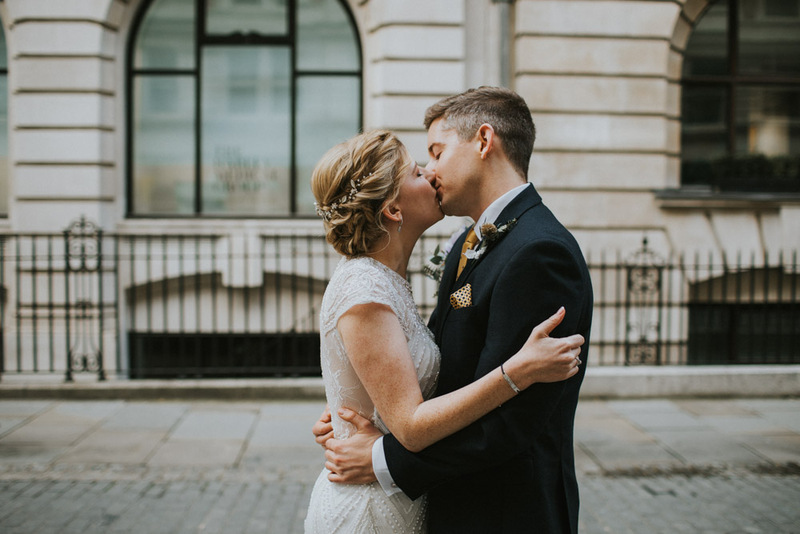 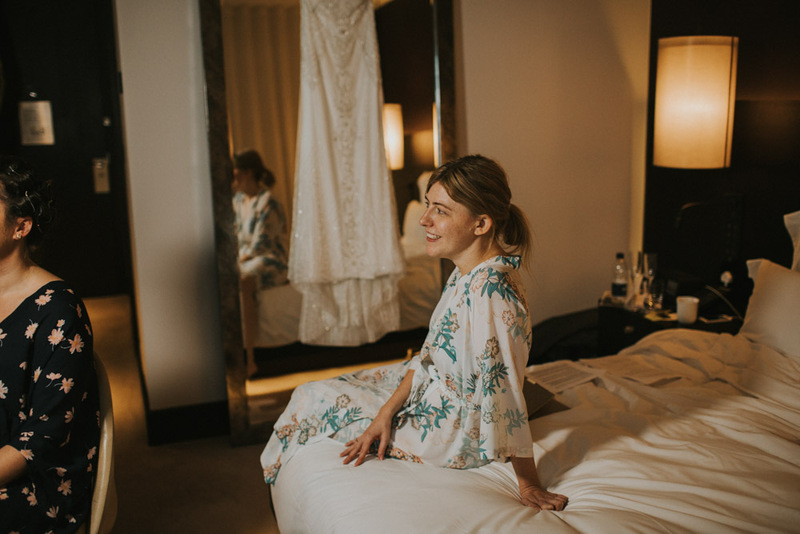 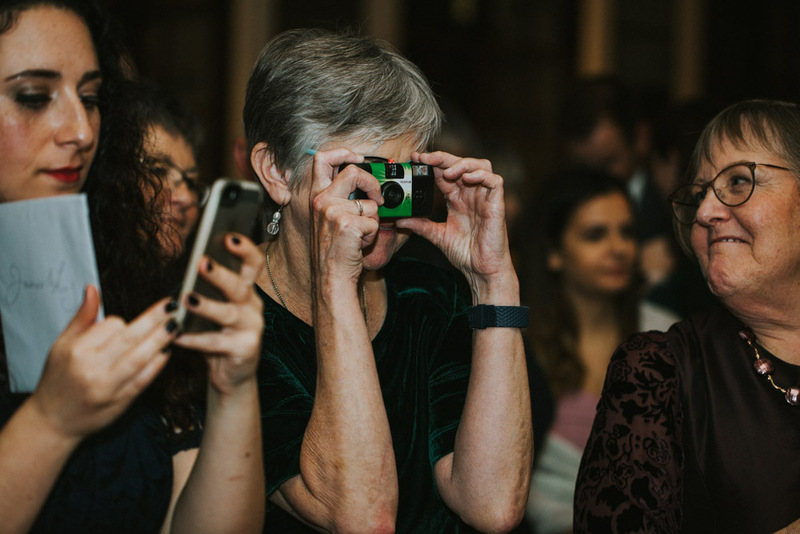 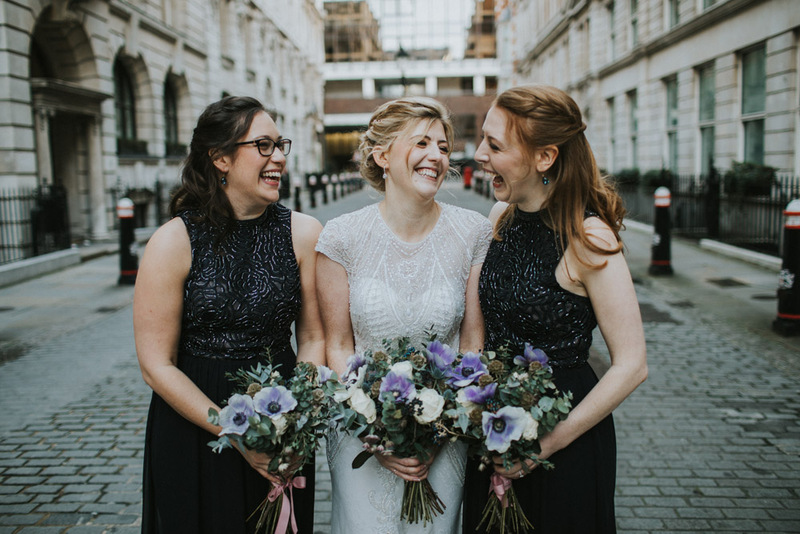 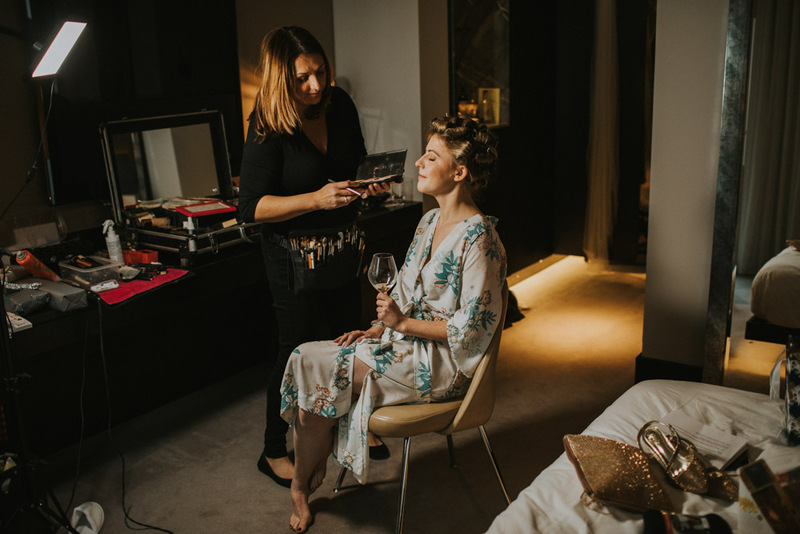 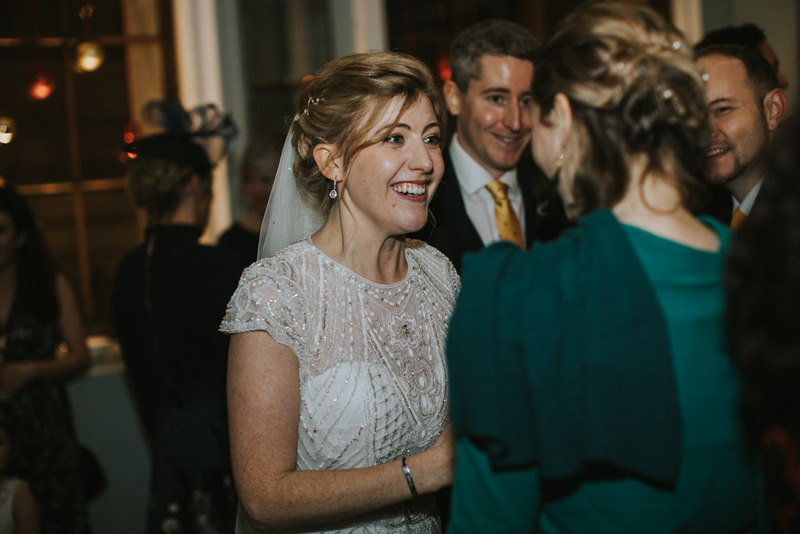 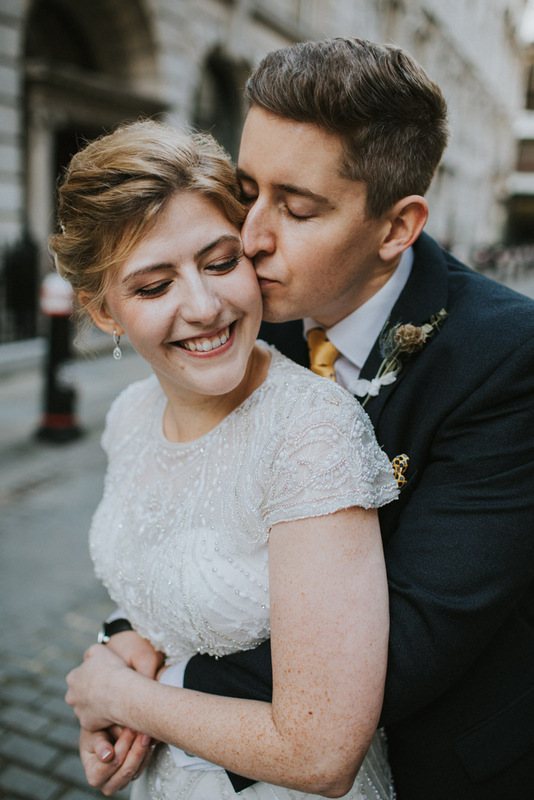 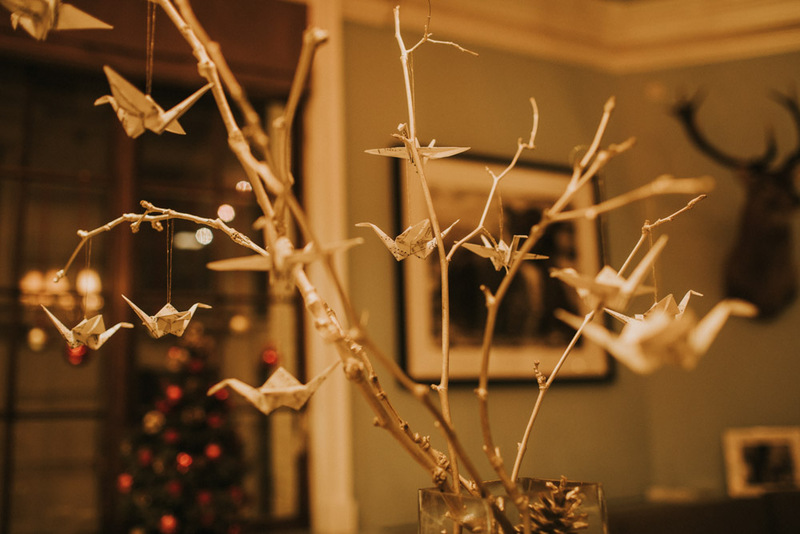 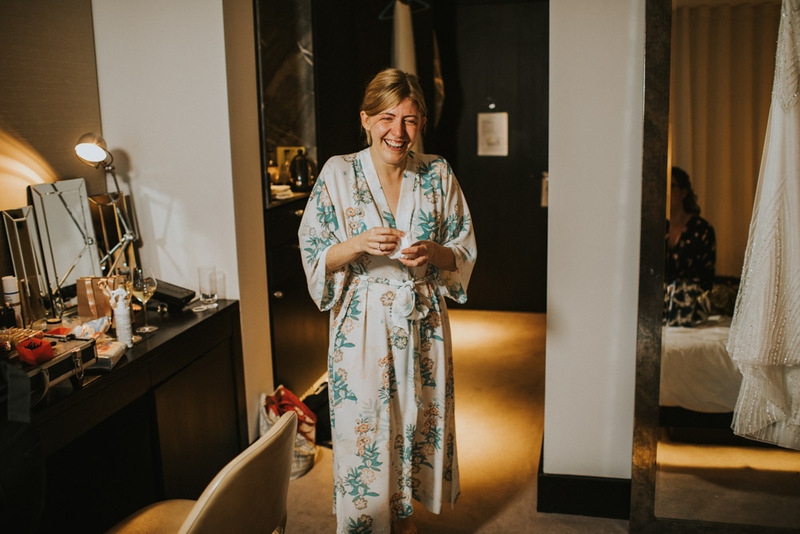 But when you add a full on festive London wedding just days beforehand, with the nip of winter hanging in the air, well it’s excitement overload I can you tell! 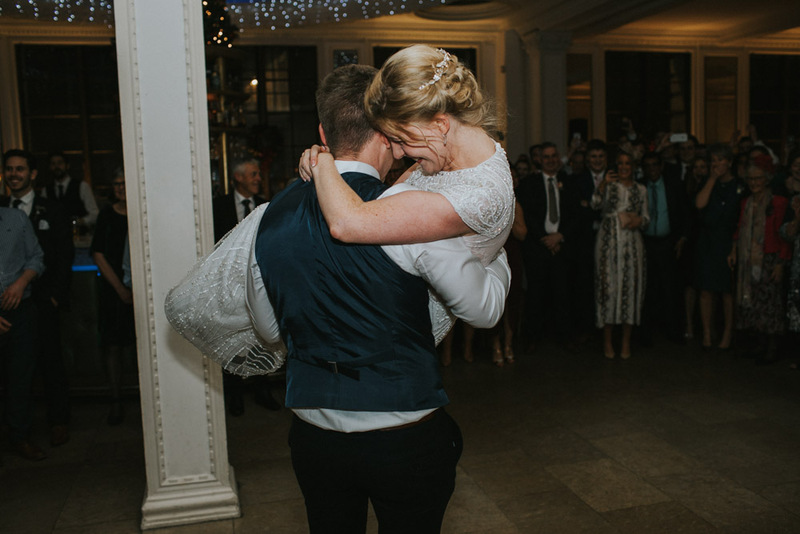 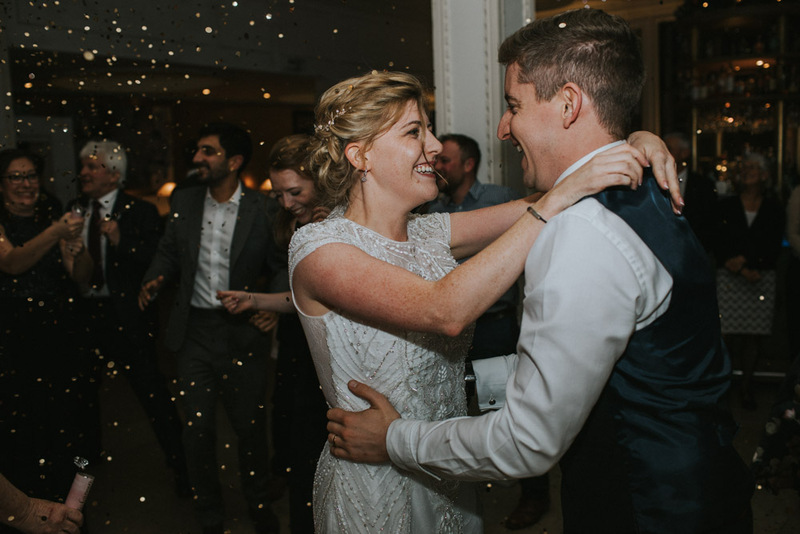 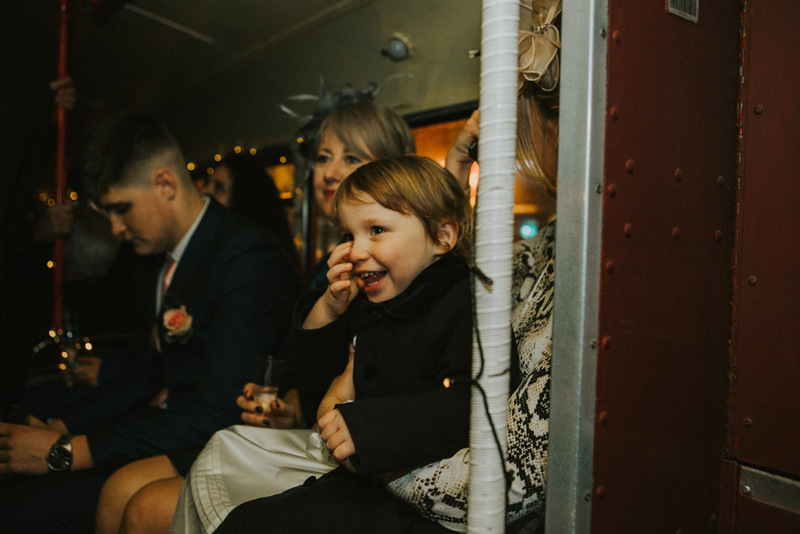 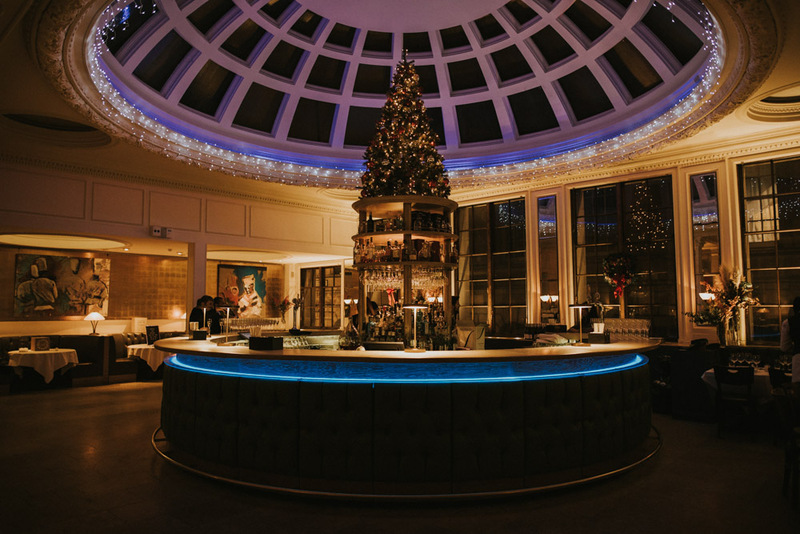 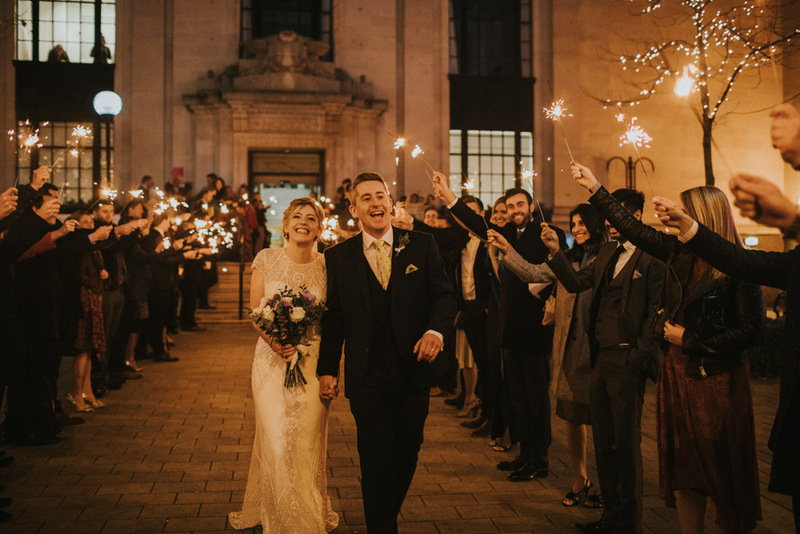 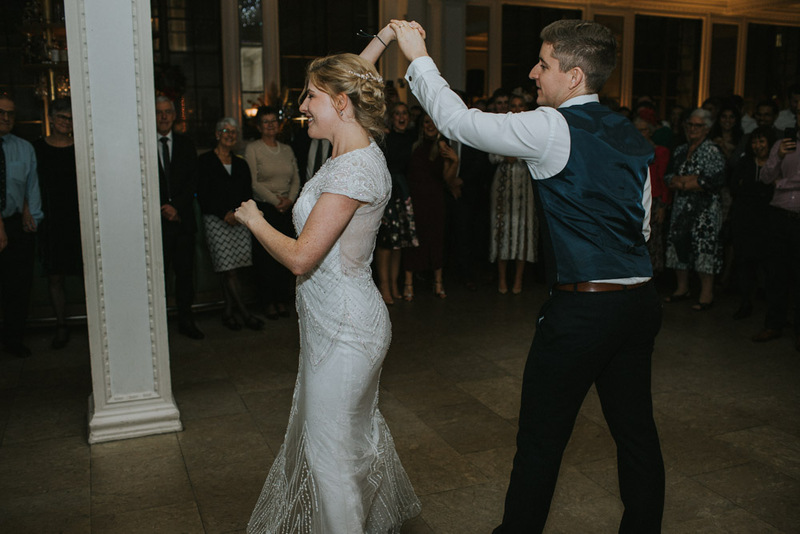 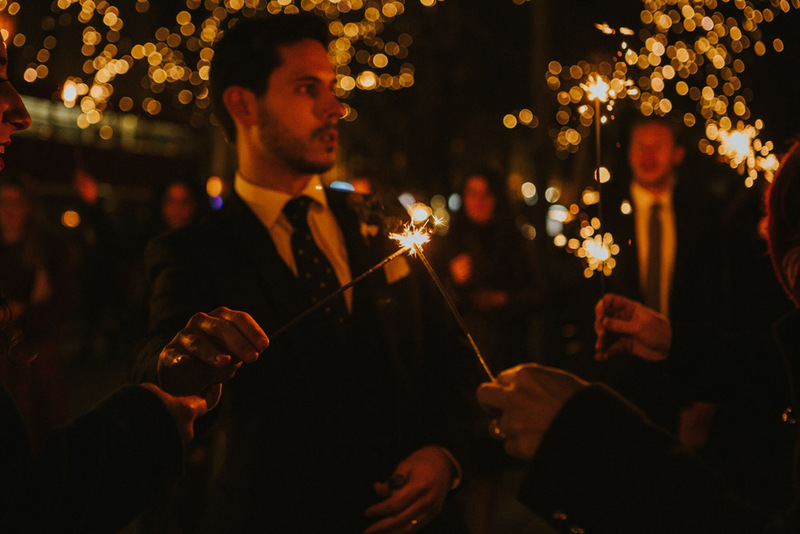 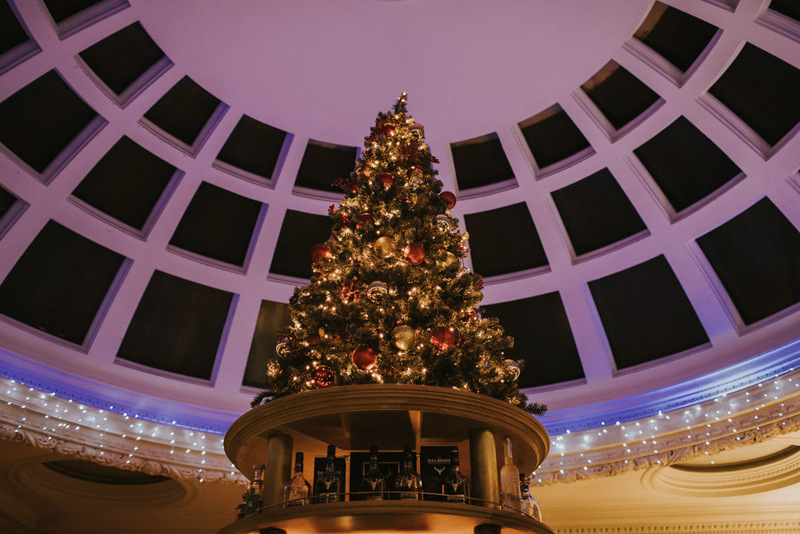 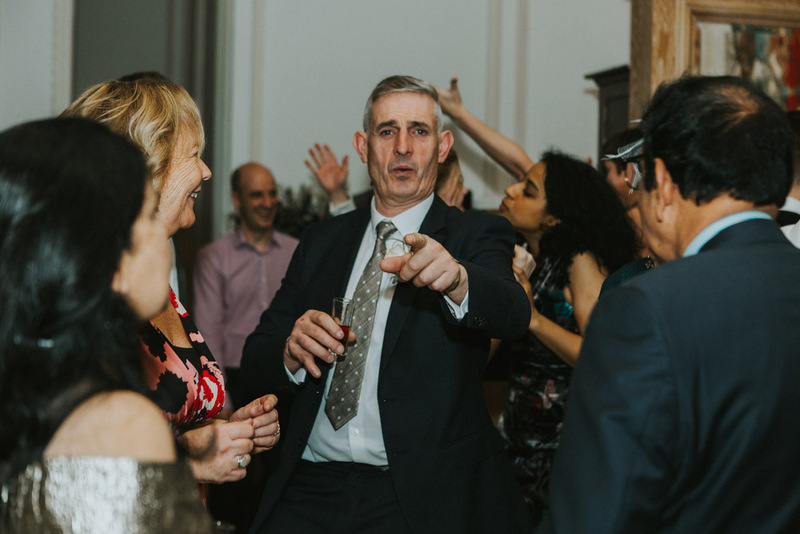 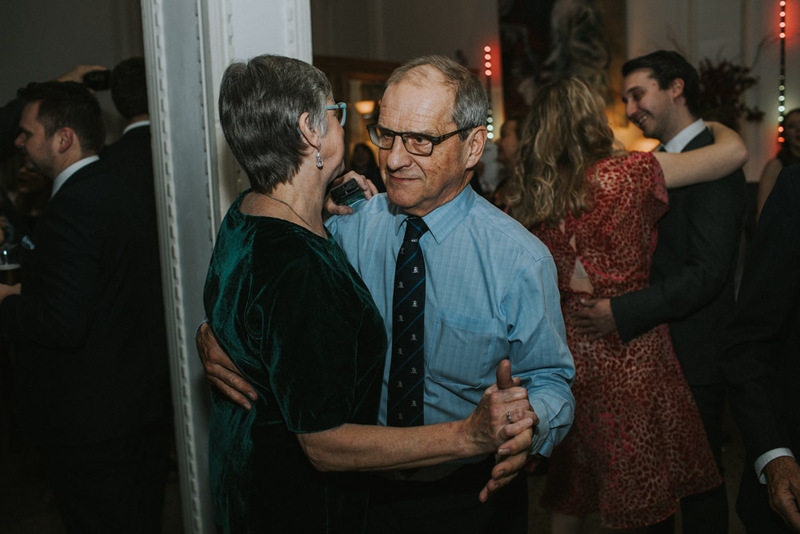 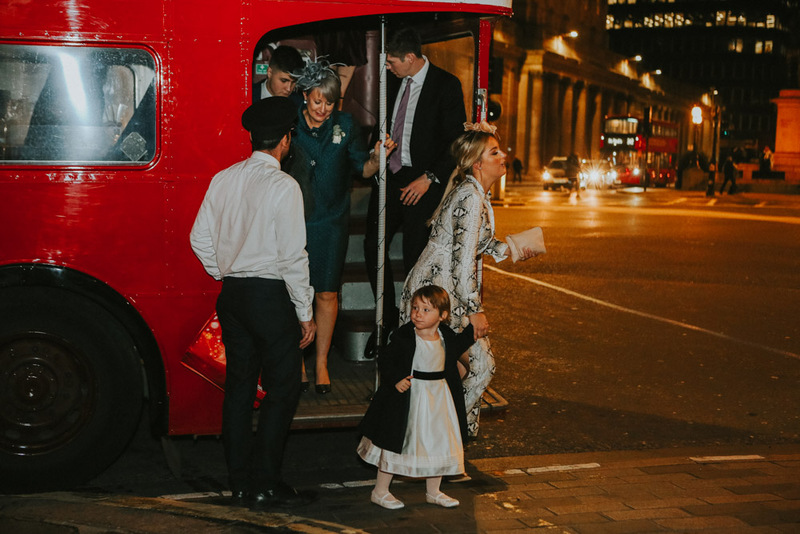 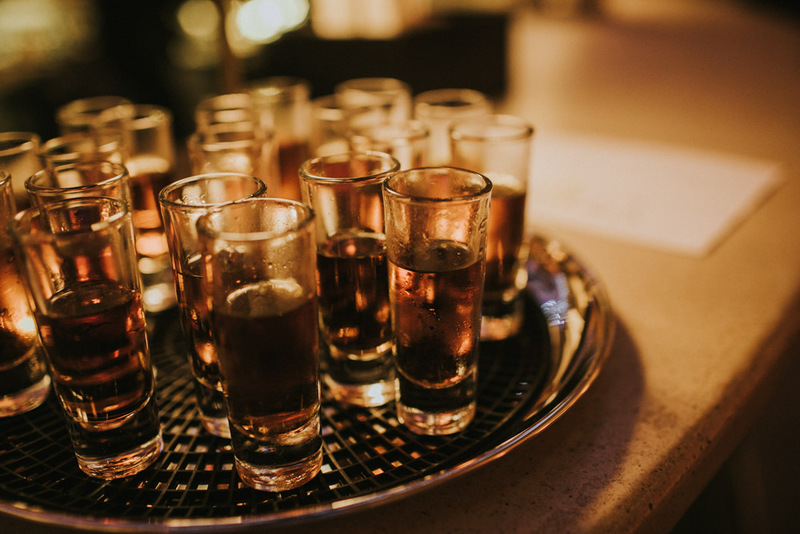 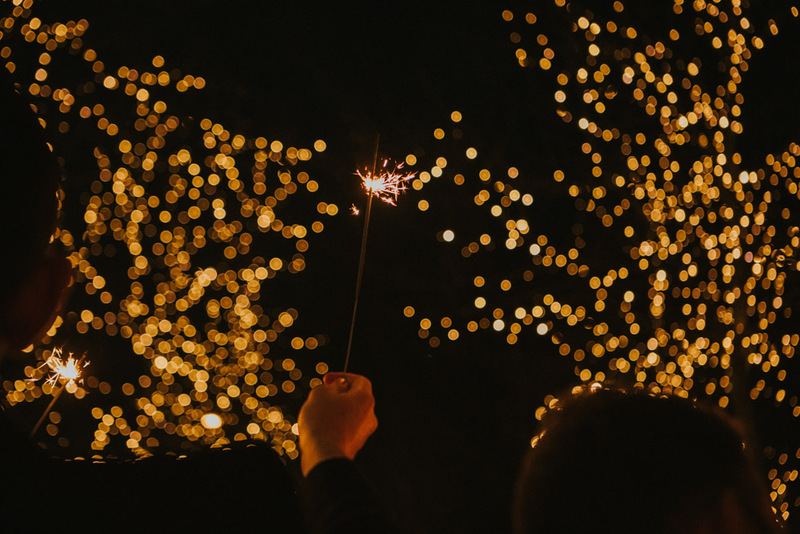 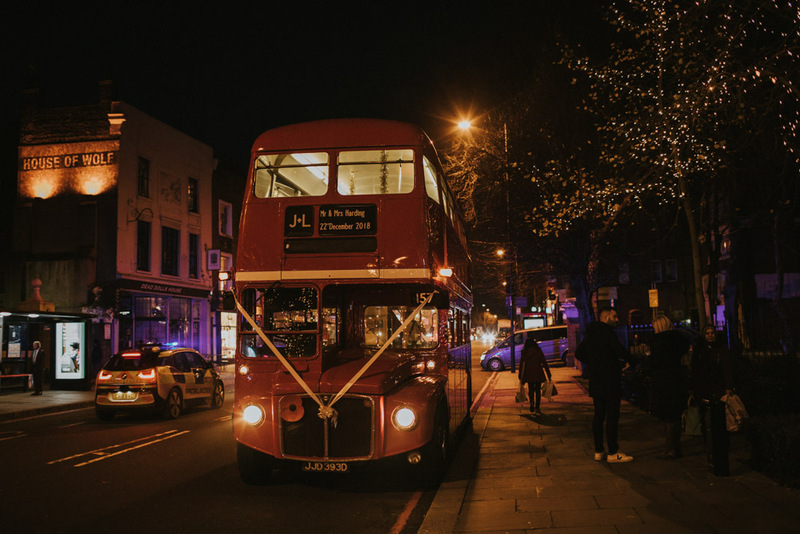 And when that day is complete with Sparklers on the streets of London, outside a bustling Town Hall , with an old Routemaster Bus waiting to take guests on a mini tour, and dropping the classic “All I want for Christmas” as their first dance, lets just it makes the vibe mighty electric. 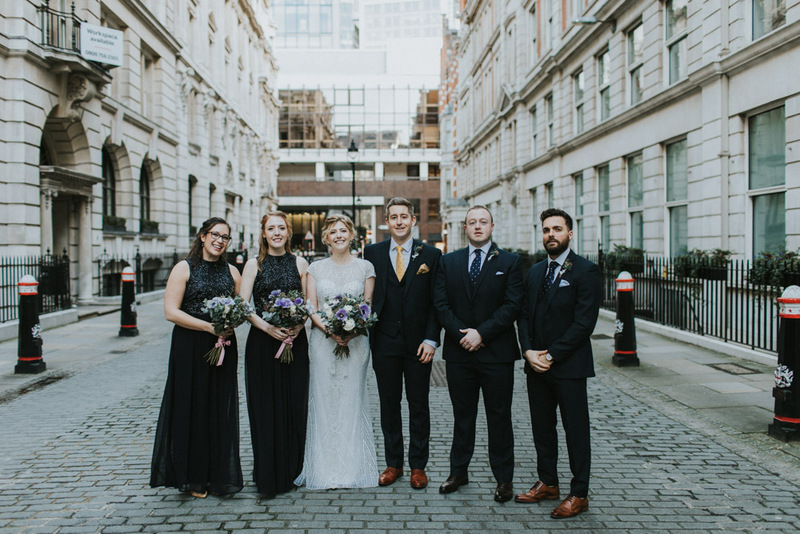 Getting to know these guys and being able to tell Liz & James’ wedding story has been beyond a privilege, and with Liz’s love to do things a little differently from the status quo (just I how I love things), it really was a total feast. 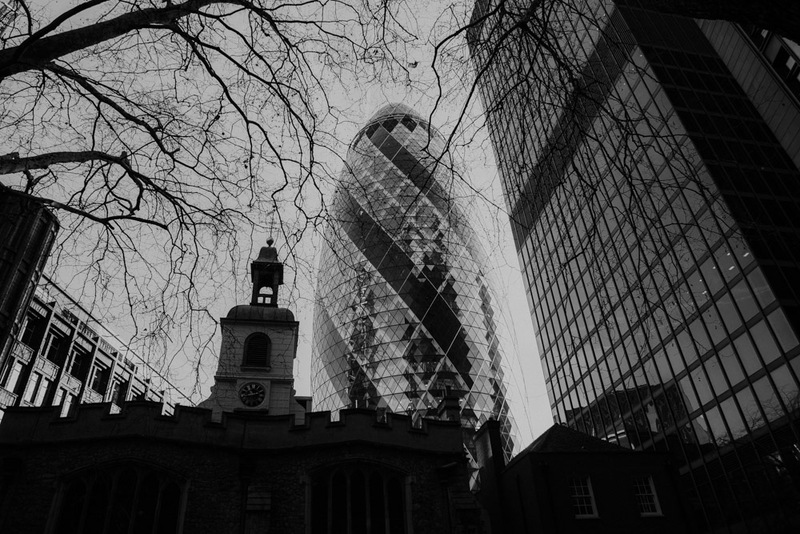 So with reception being held at the gorgeous 1 Lombard Street straight after, and what with it being pitch black n’ all. 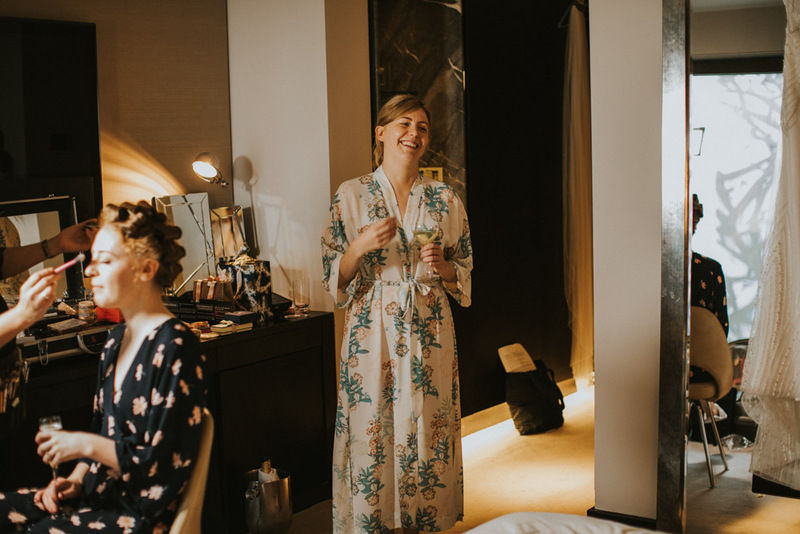 Finding a time where they could escape and enjoy a moment together was the challenge…. 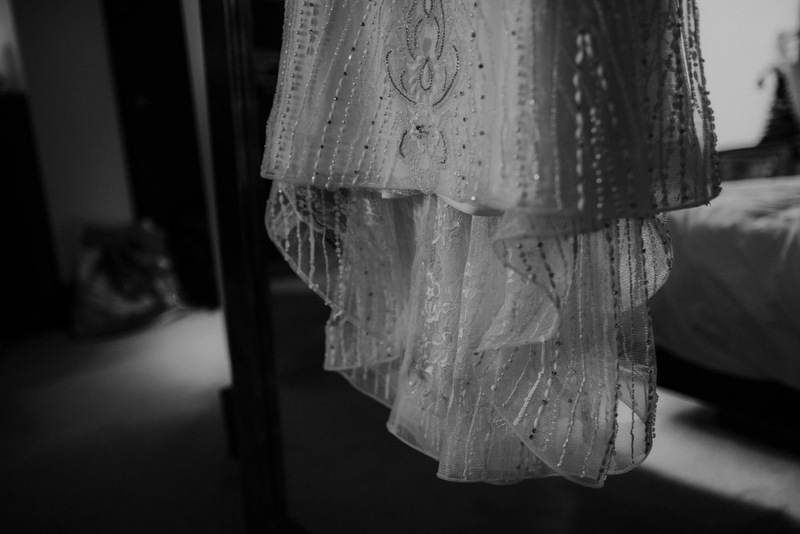 step forward “a first glance” shoot, woohooo! 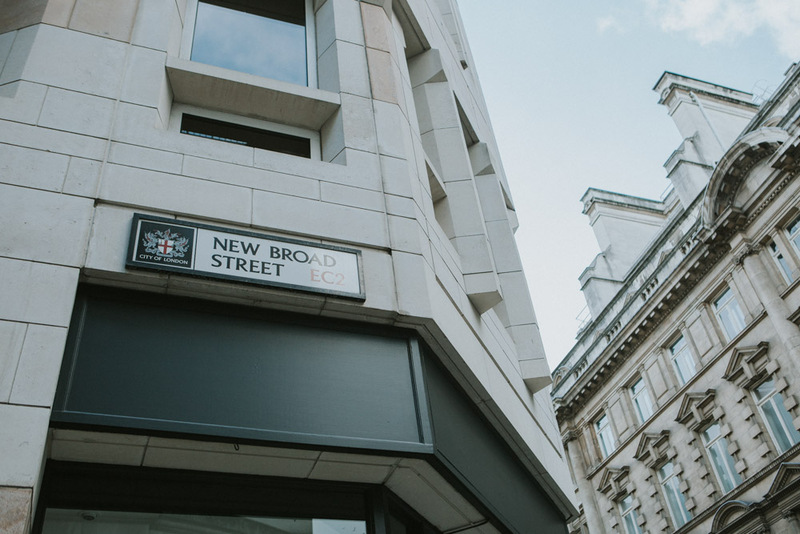 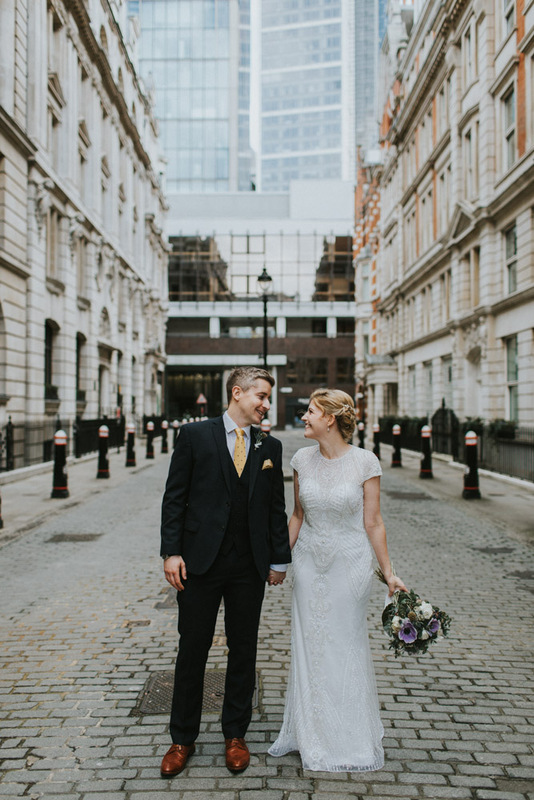 I mean, London as you probably know is littered with old side-streets, from ancient cobbled to Edwardian banking streets towered by modern skyscrapers, so finding our dream spot beforehand was a quick one and my god, I think we nailed it. 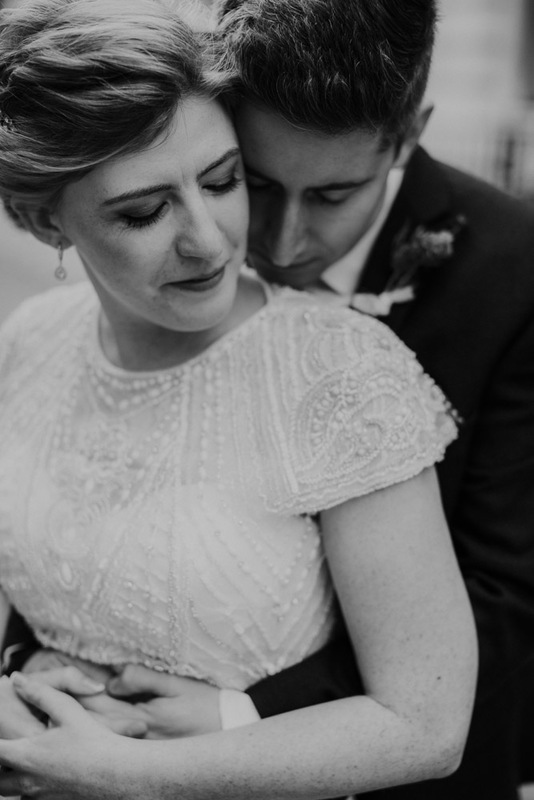 First glance shoots still aren’t overly common here in the UK, it’s more of an American thing, but my god, every time I have one, I realise quite how cool they actually are. 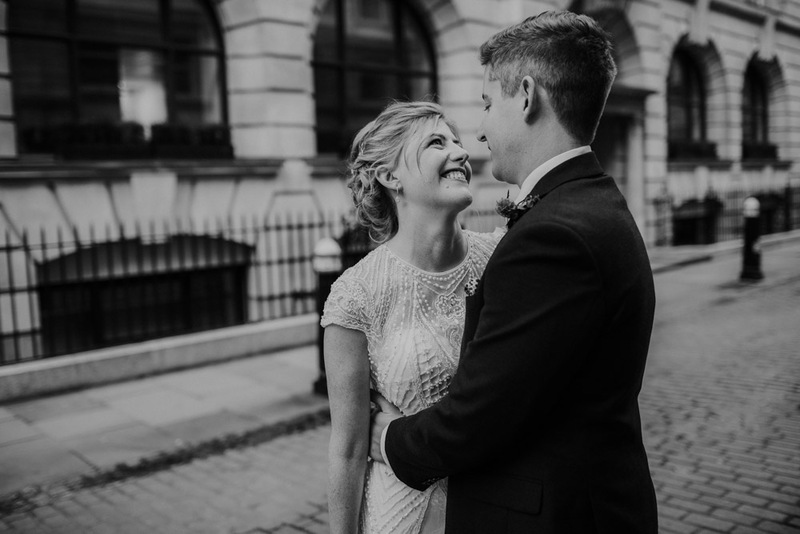 Getting to spend an intimate moment by themselves and being totally blown away by their first glance of one another, it’s totally incredible! 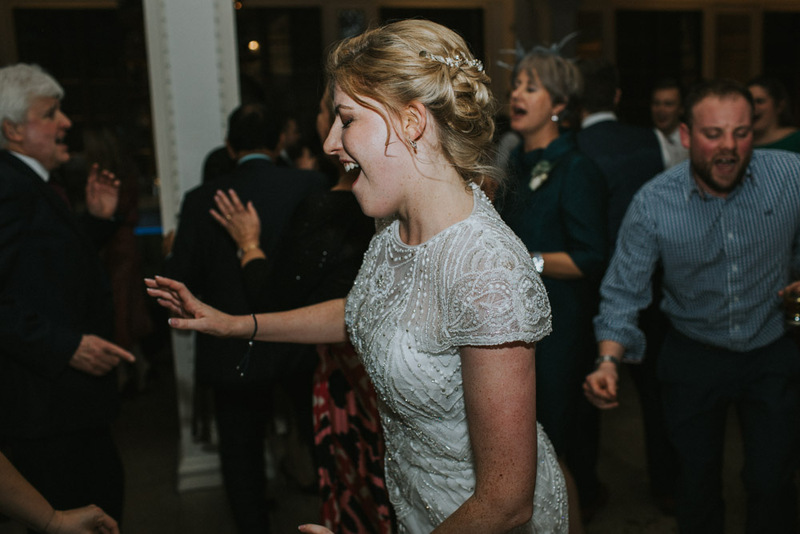 Sorry this sounds like a slight rally call… but they really are just that awesome! 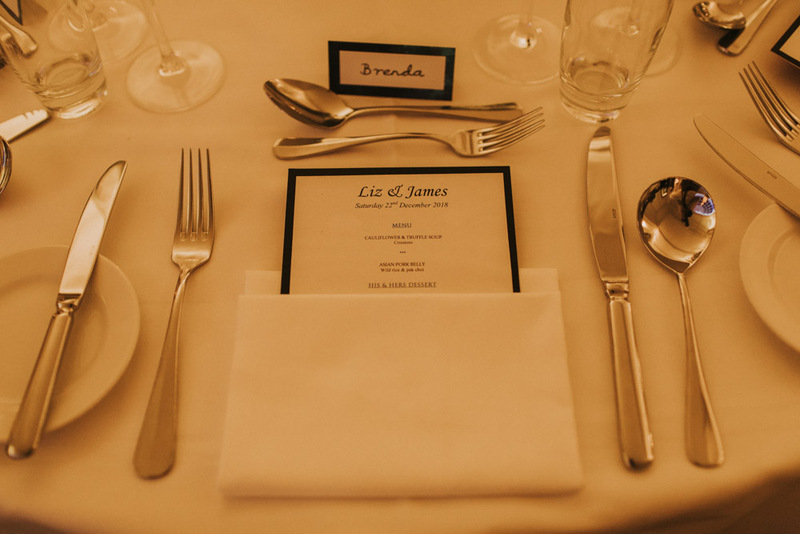 But in essence, Liz & James could have arranged their day any way. 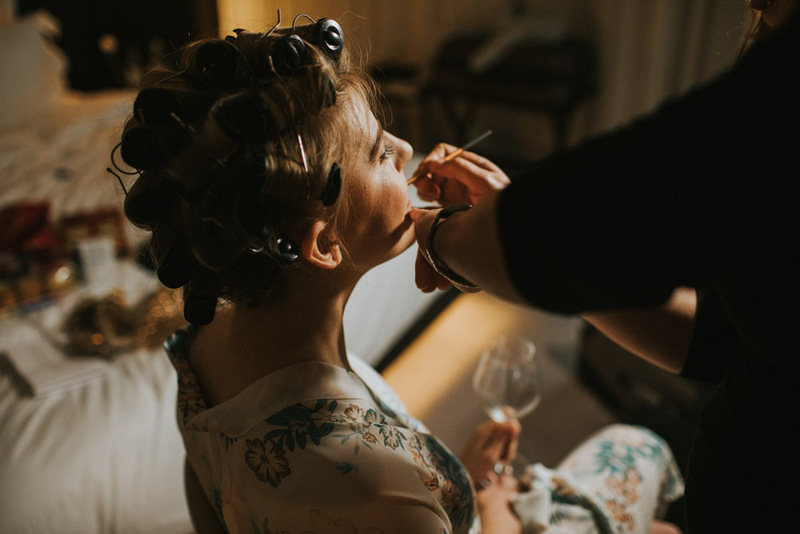 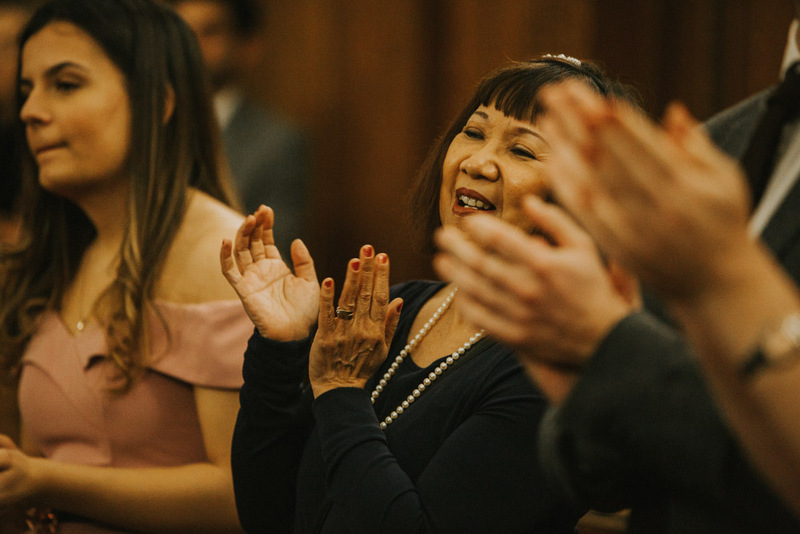 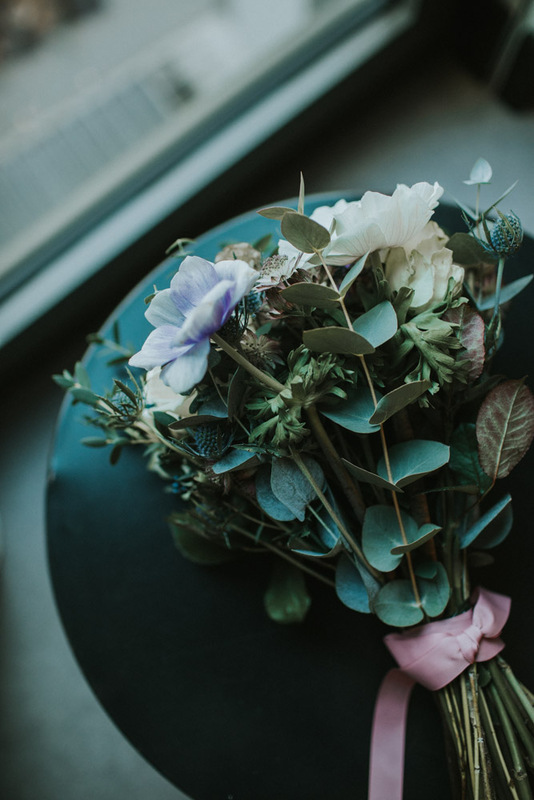 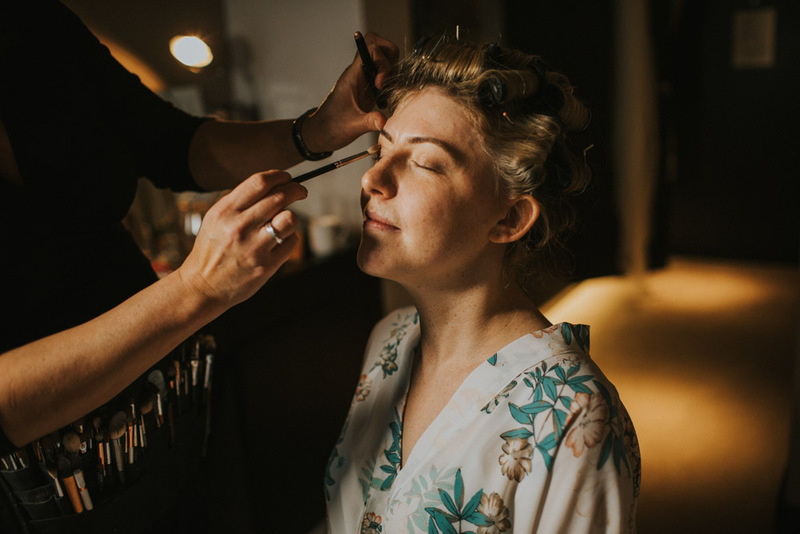 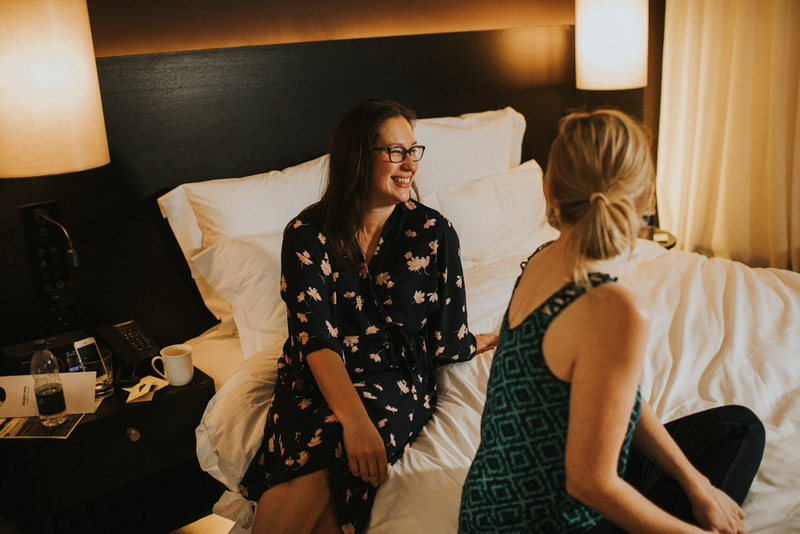 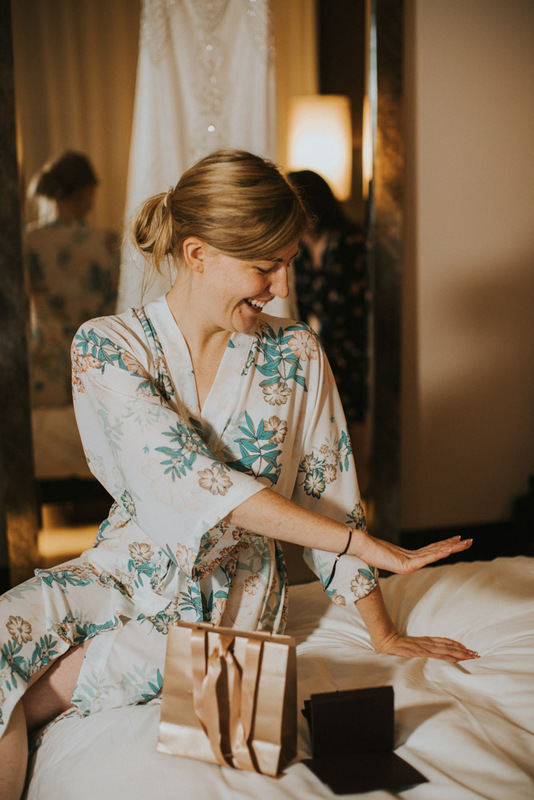 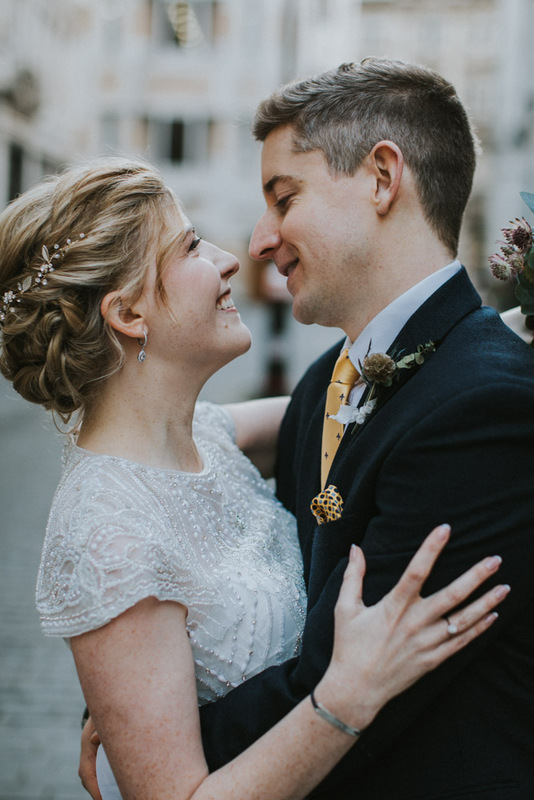 Their infectious love for life, their creativity, but above all, their crazy amount of love for each other made this wedding story a total dream to capture. 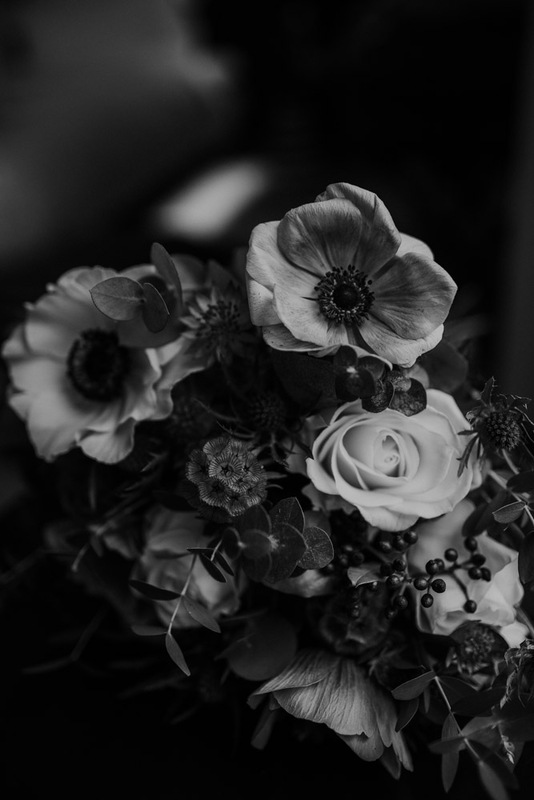 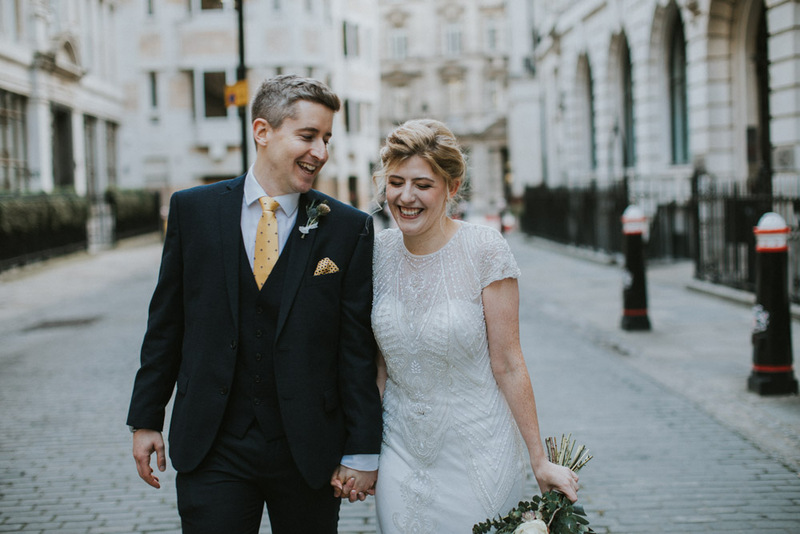 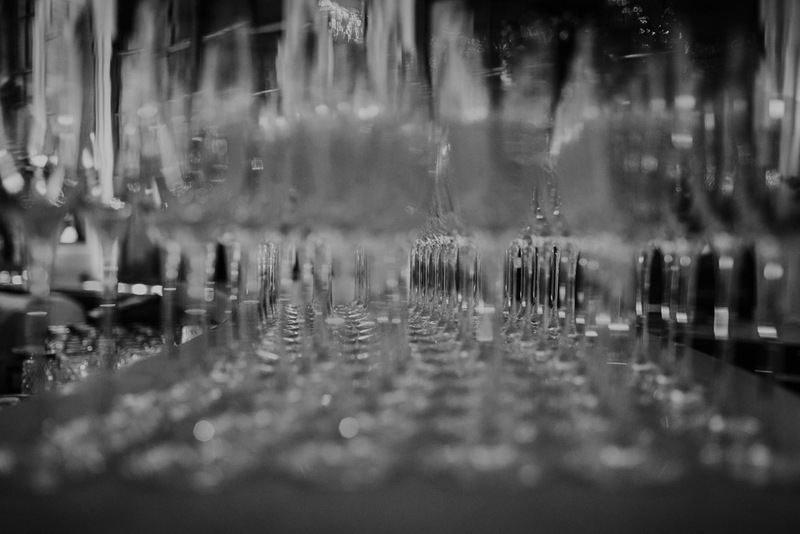 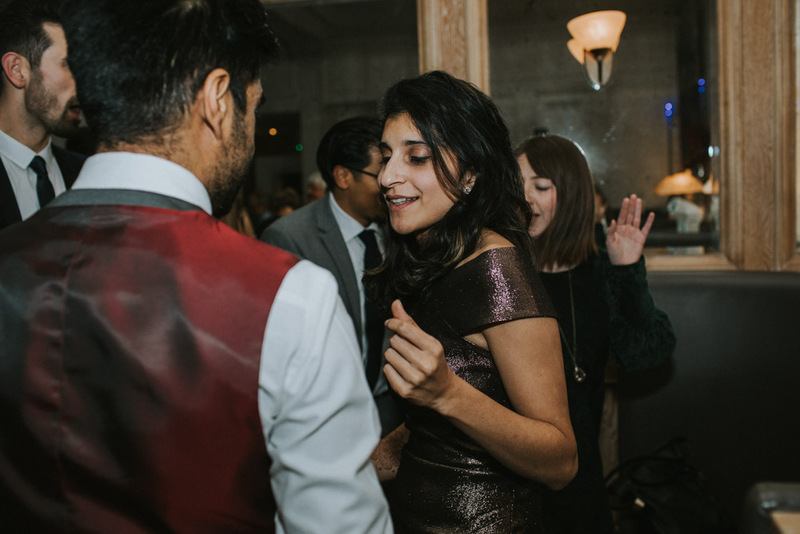 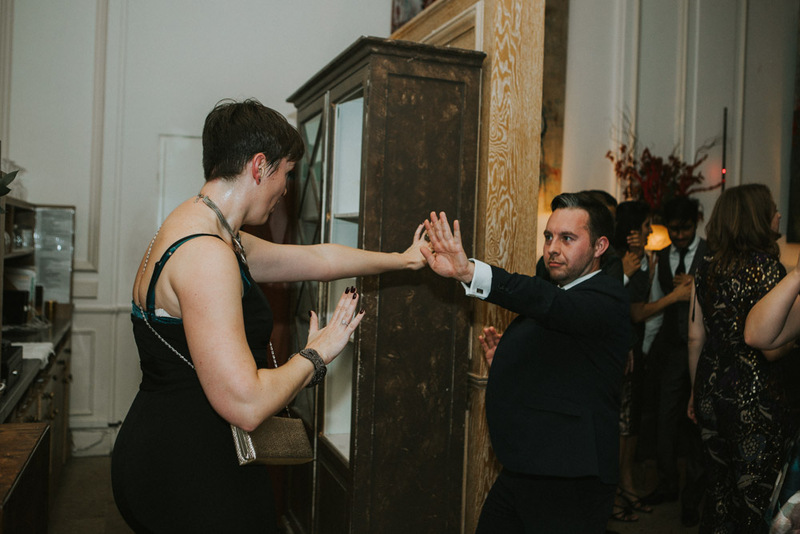 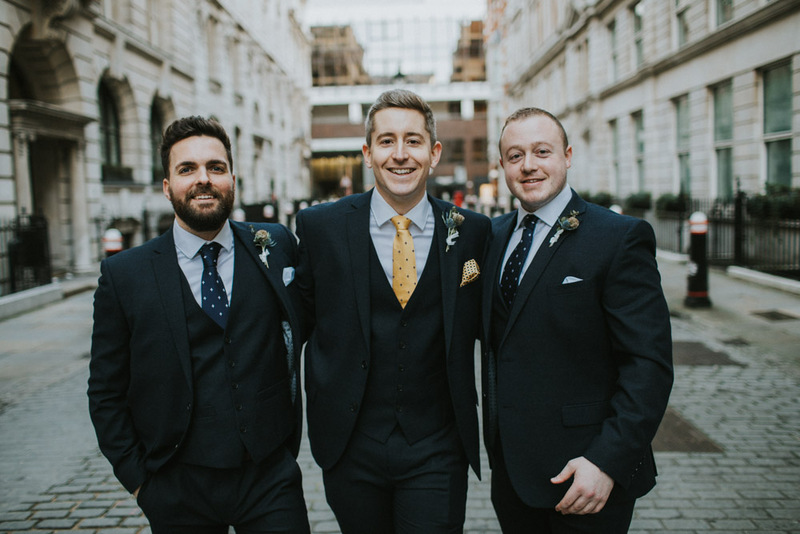 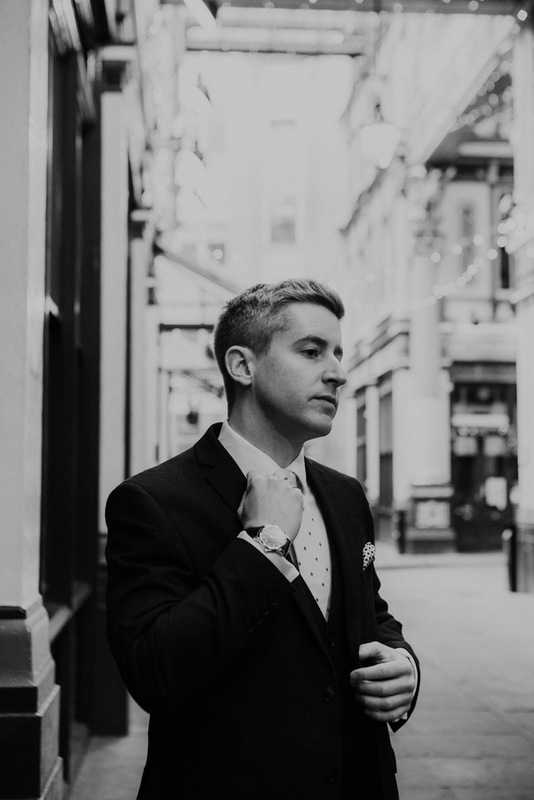 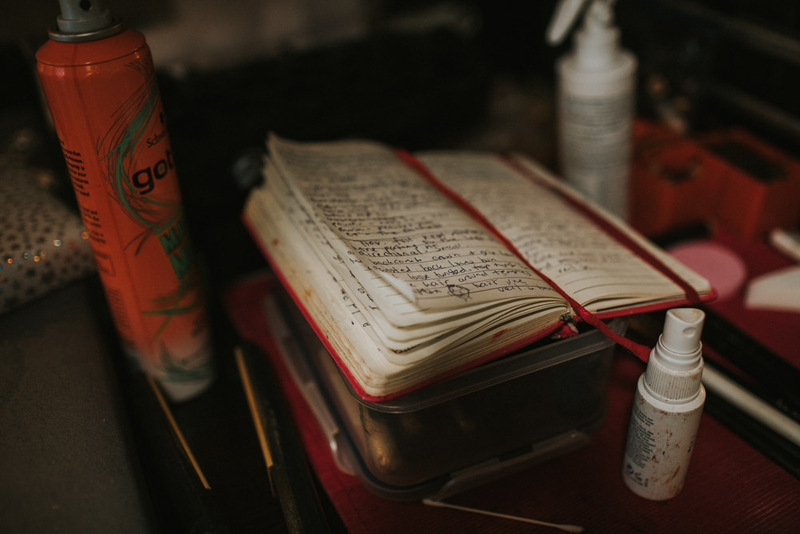 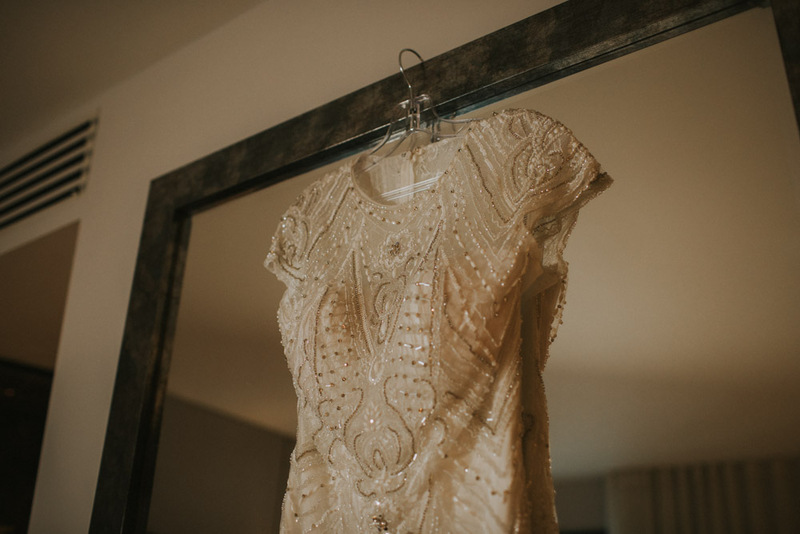 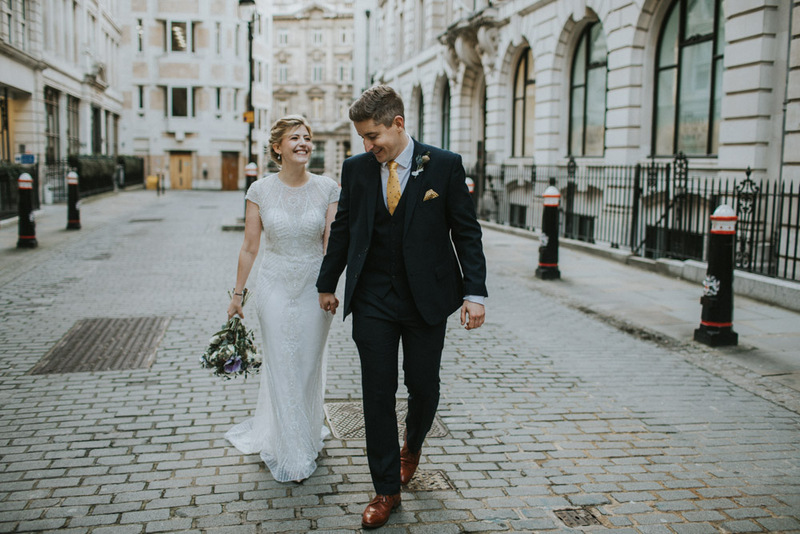 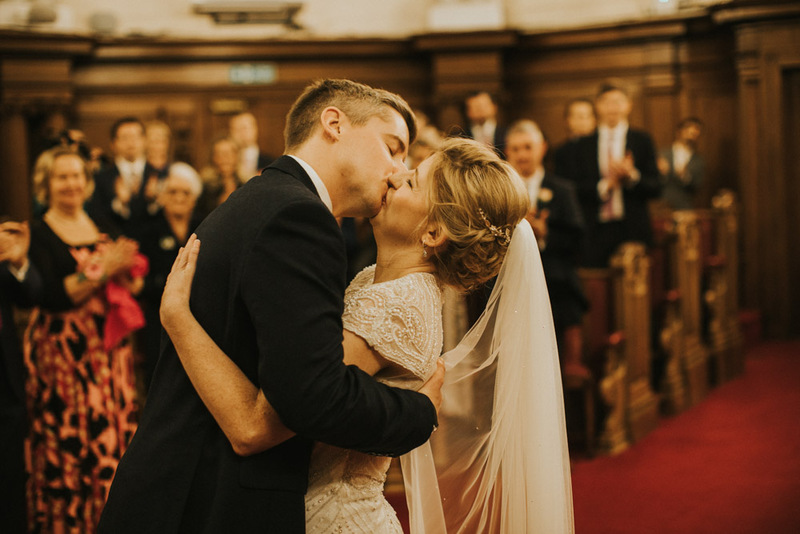 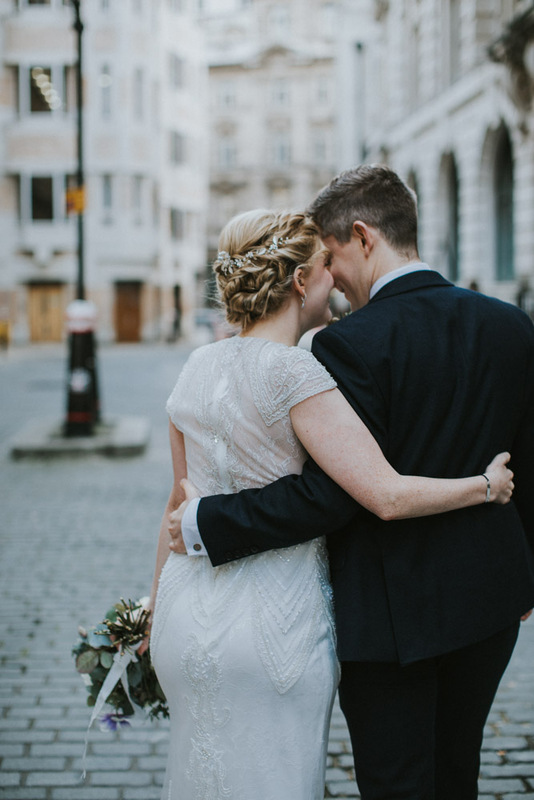 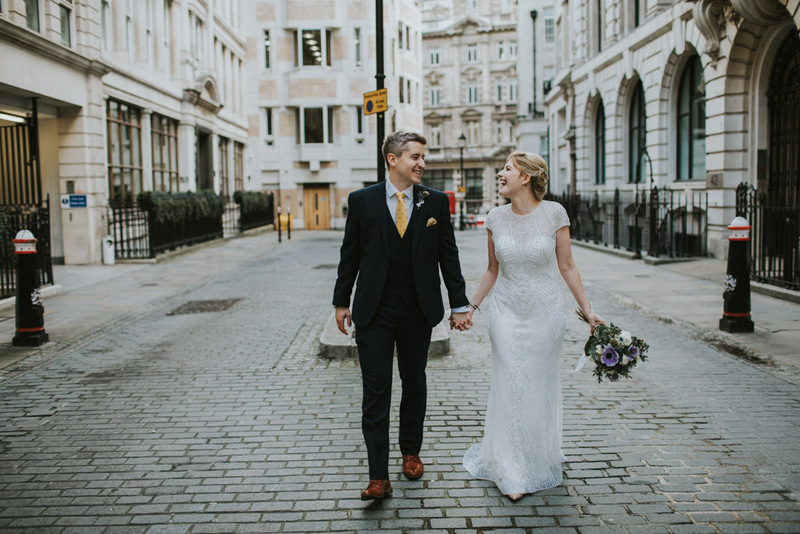 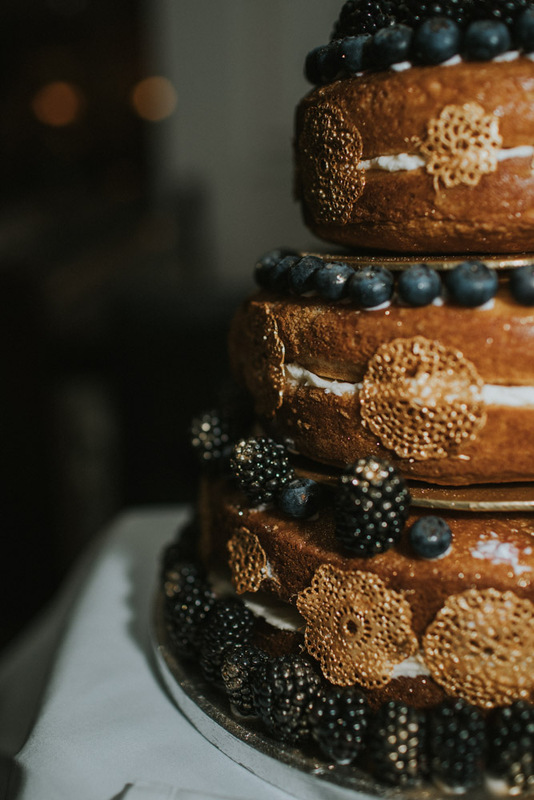 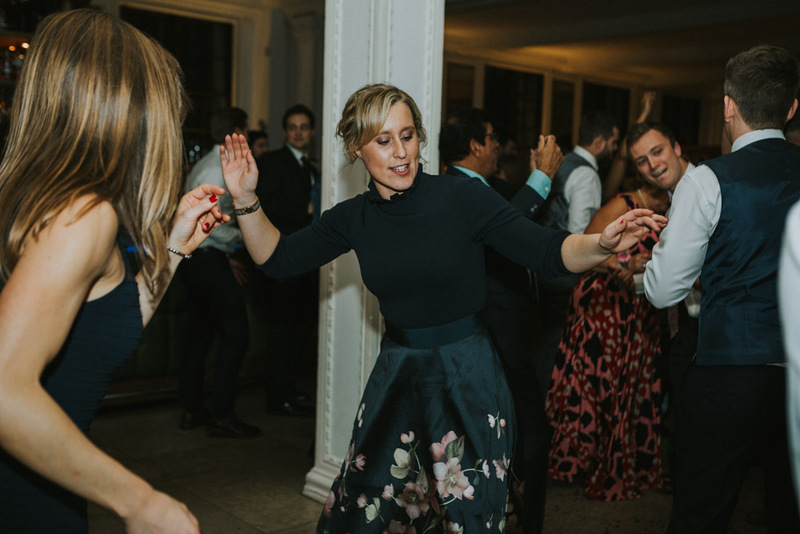 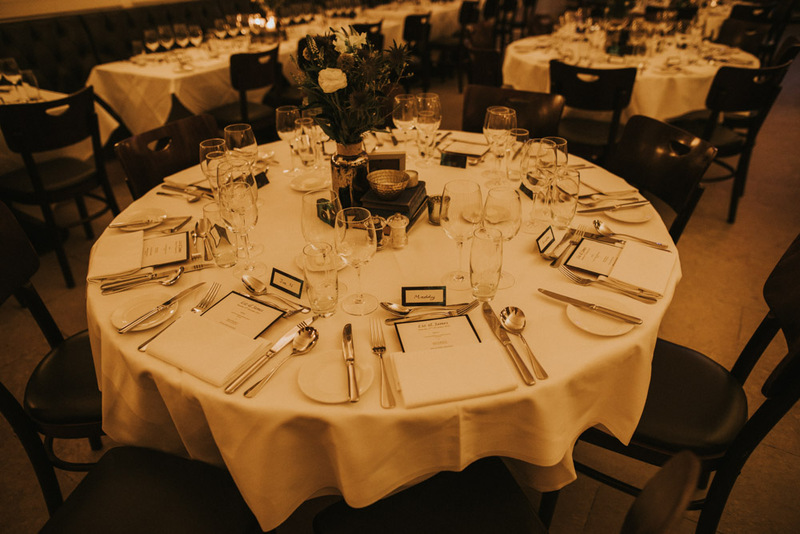 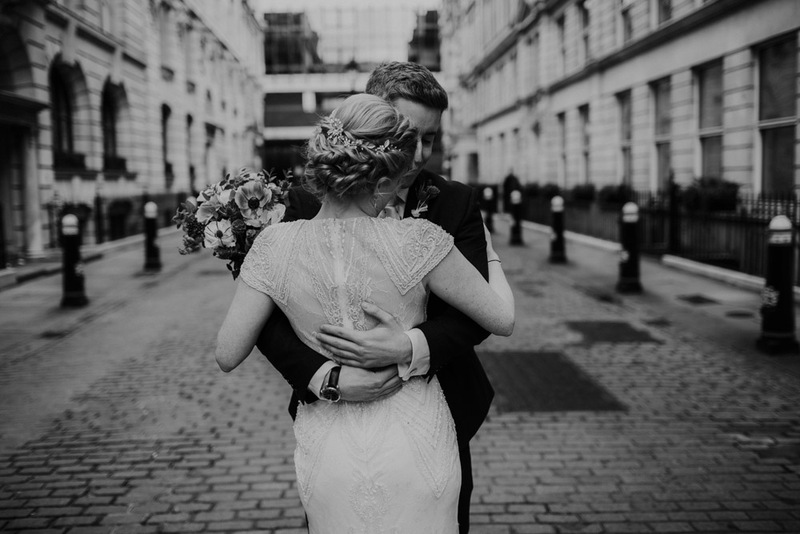 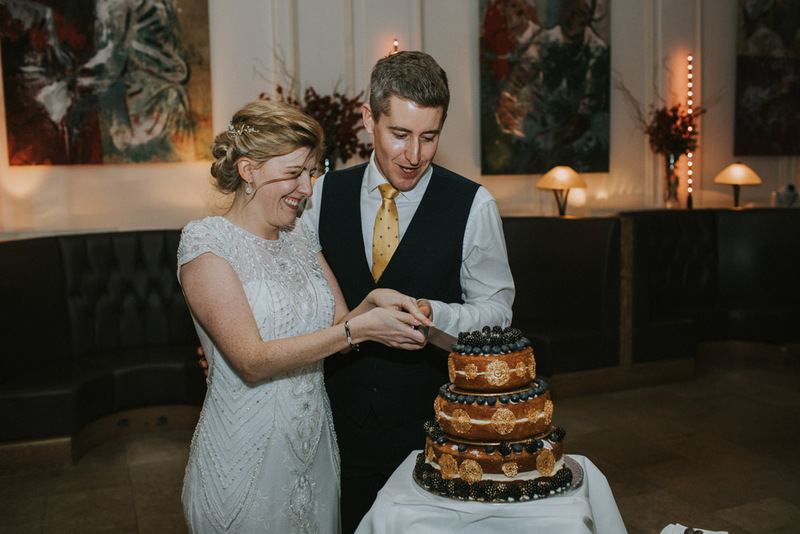 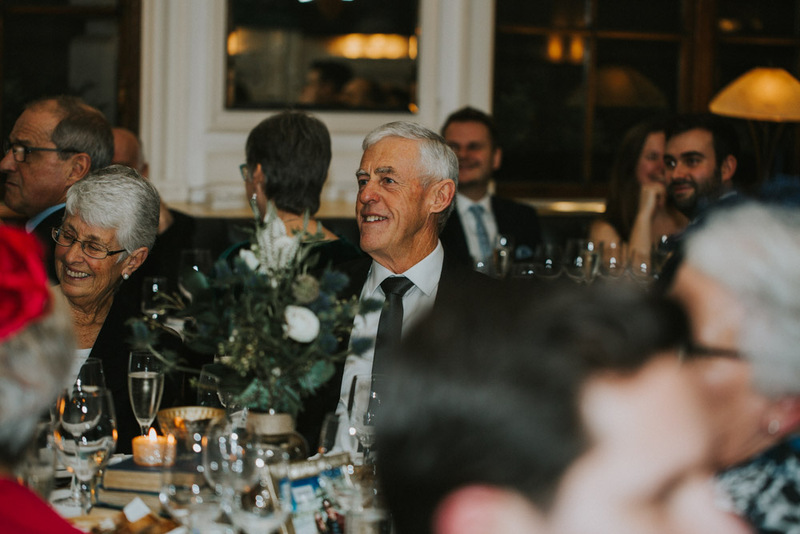 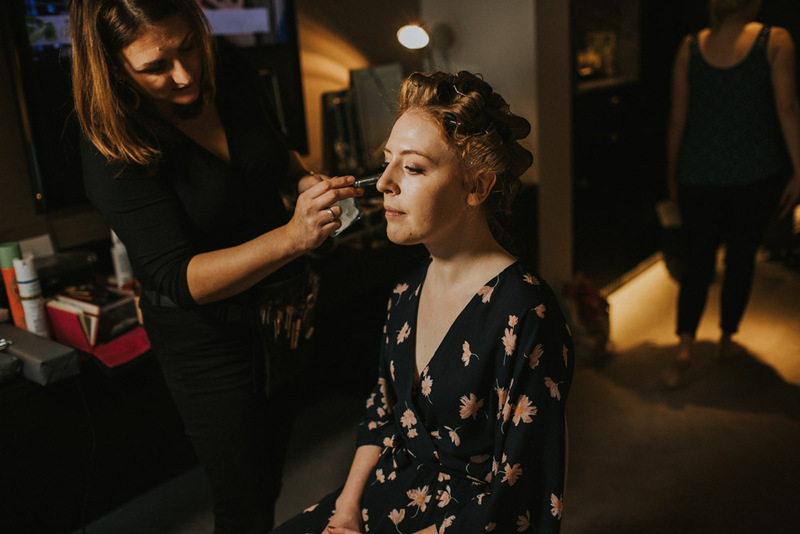 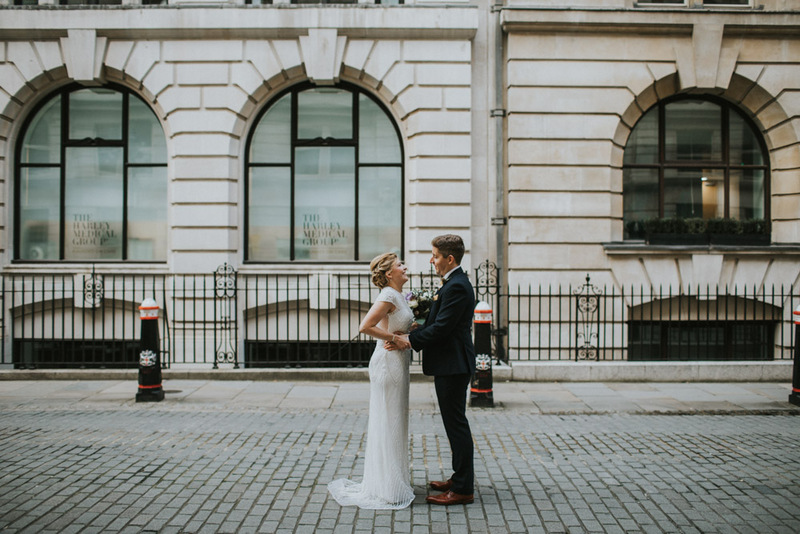 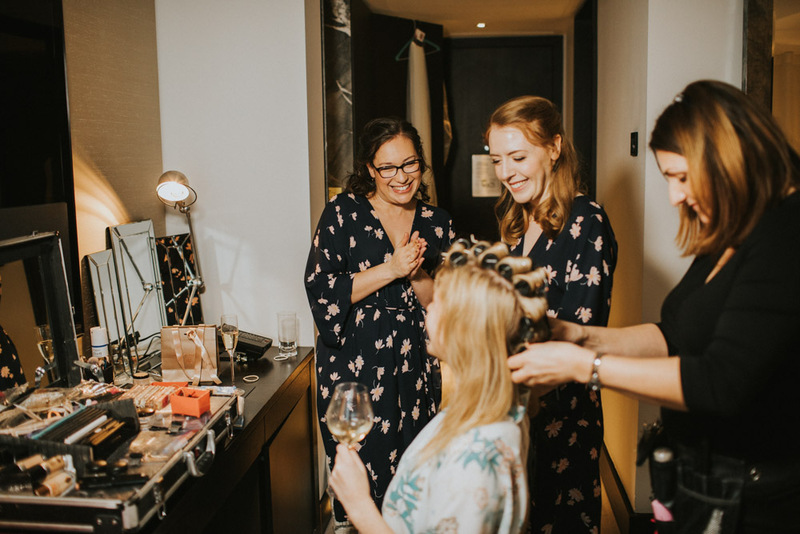 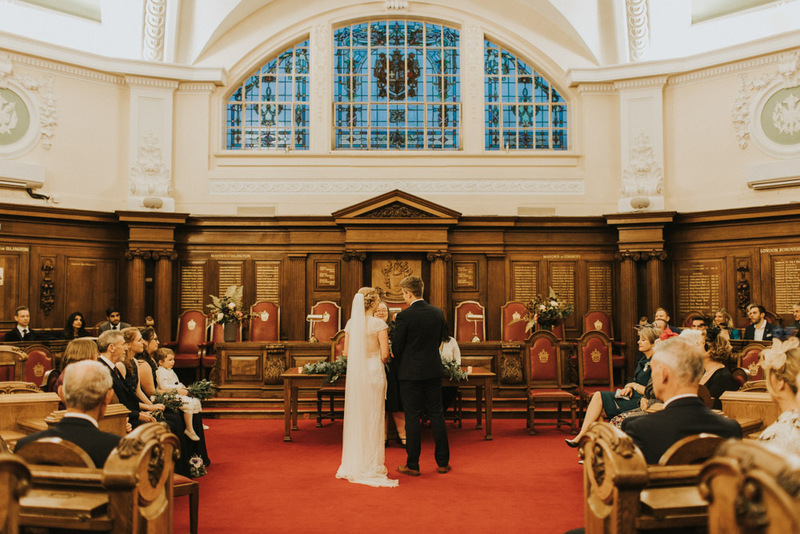 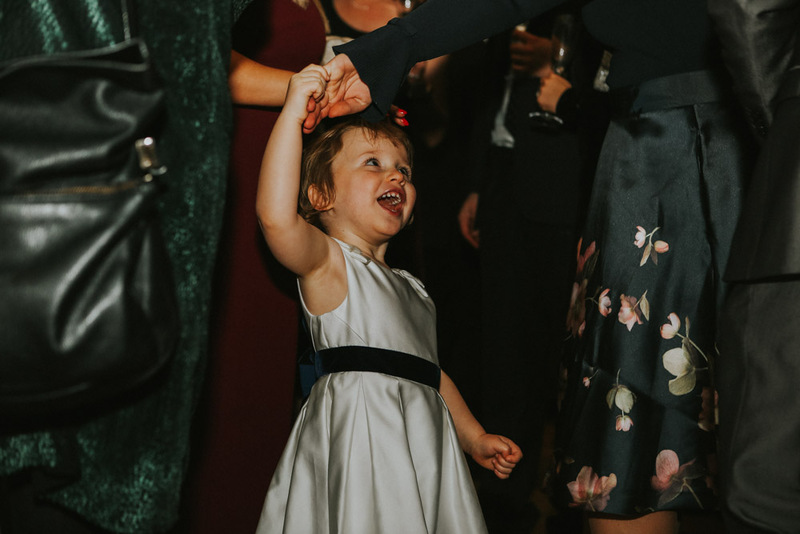 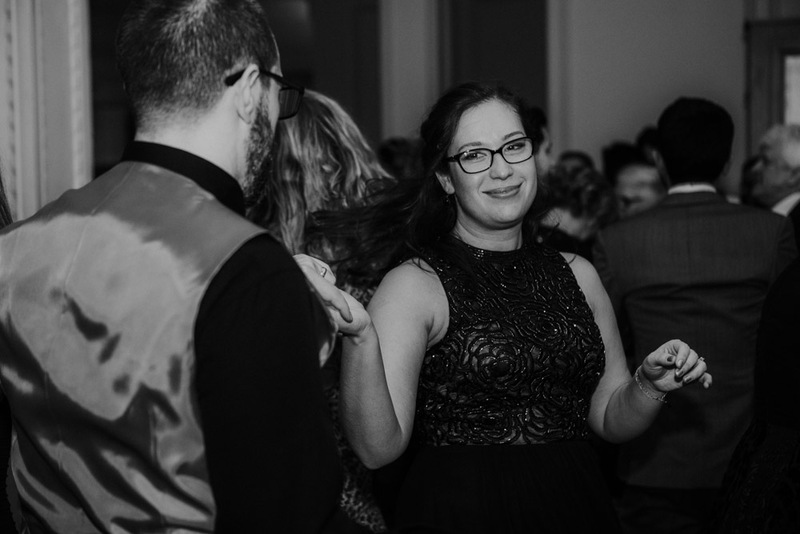 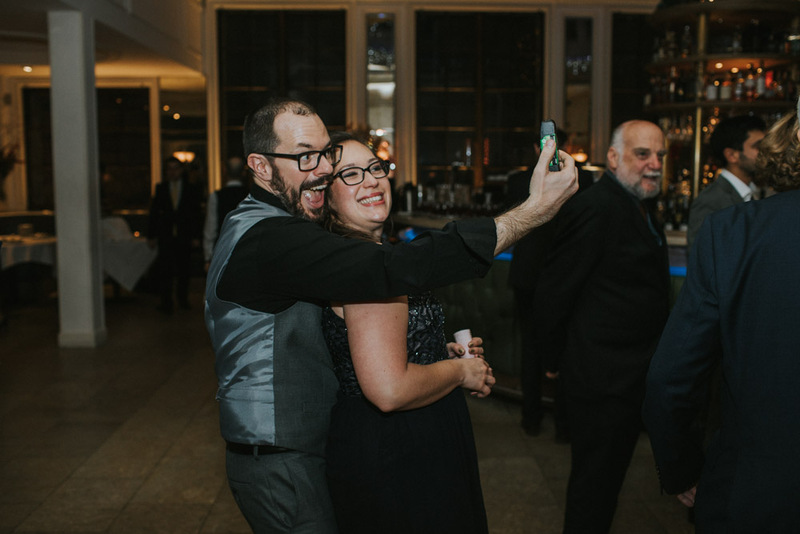 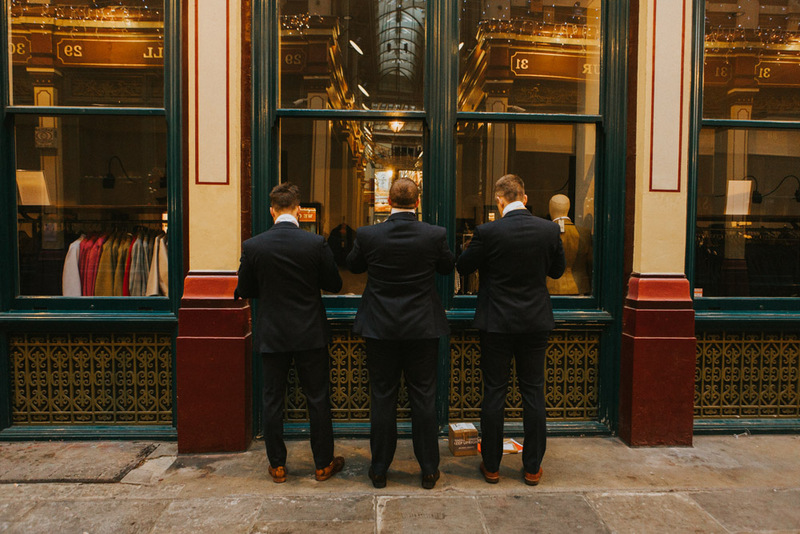 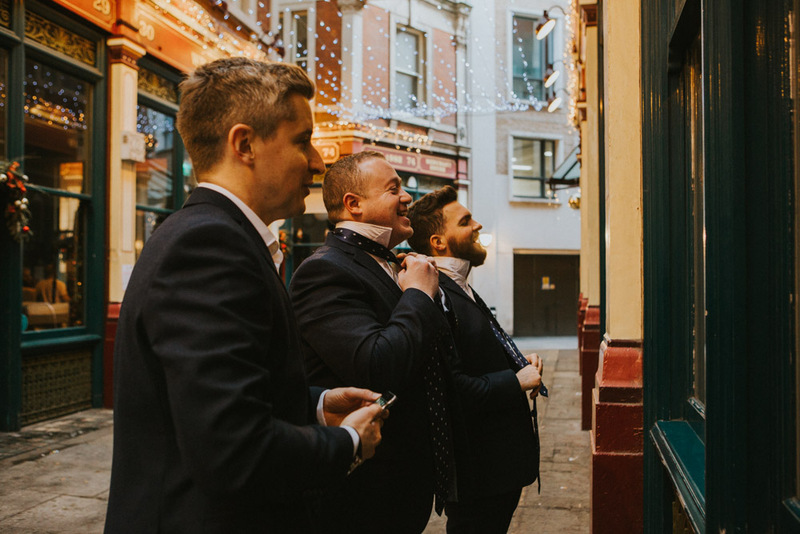 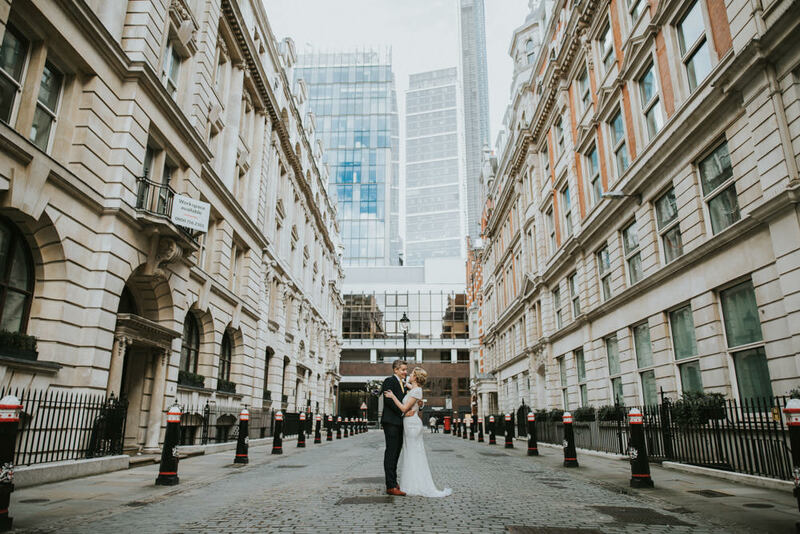 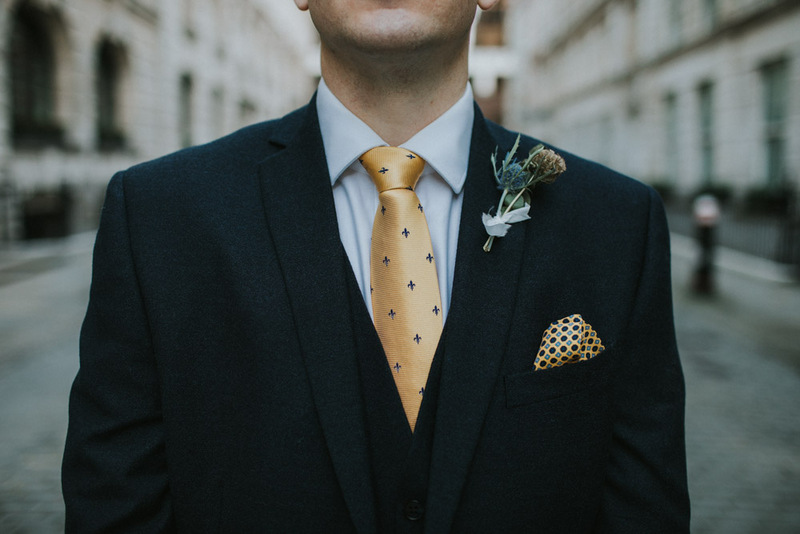 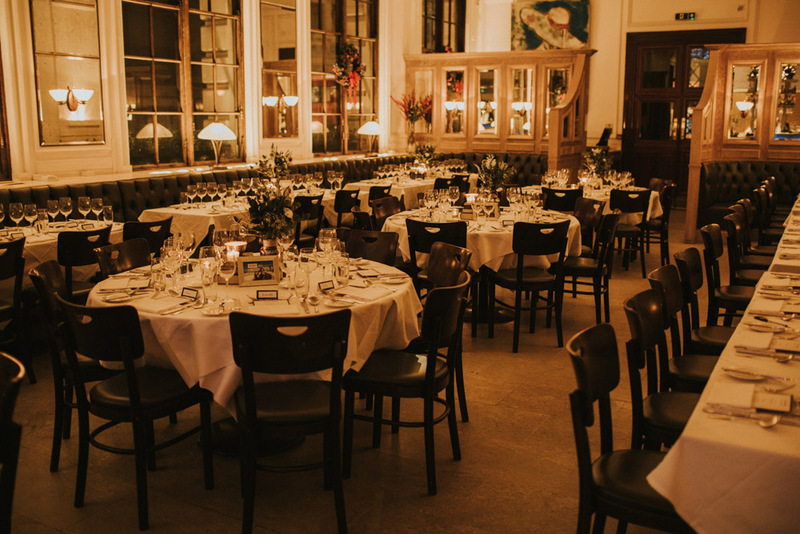 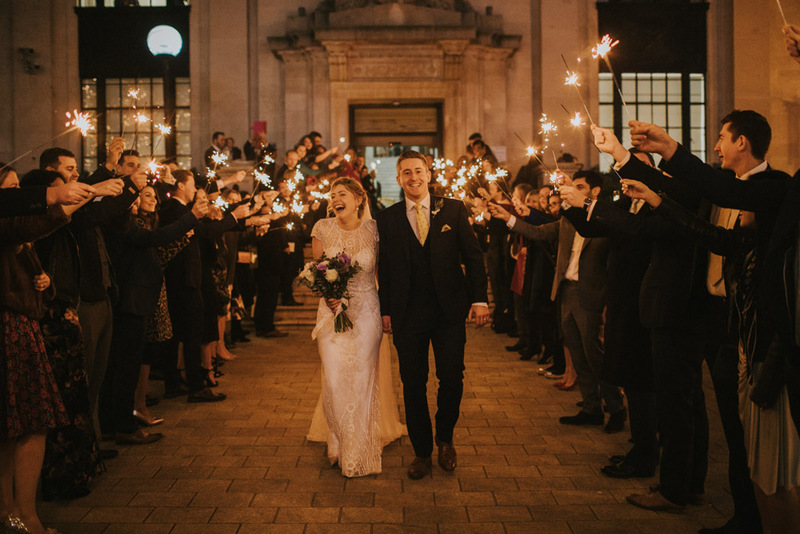 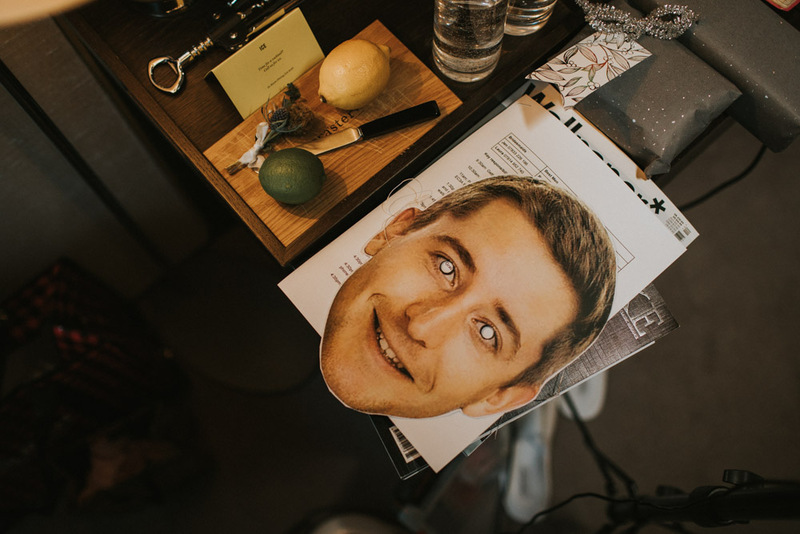 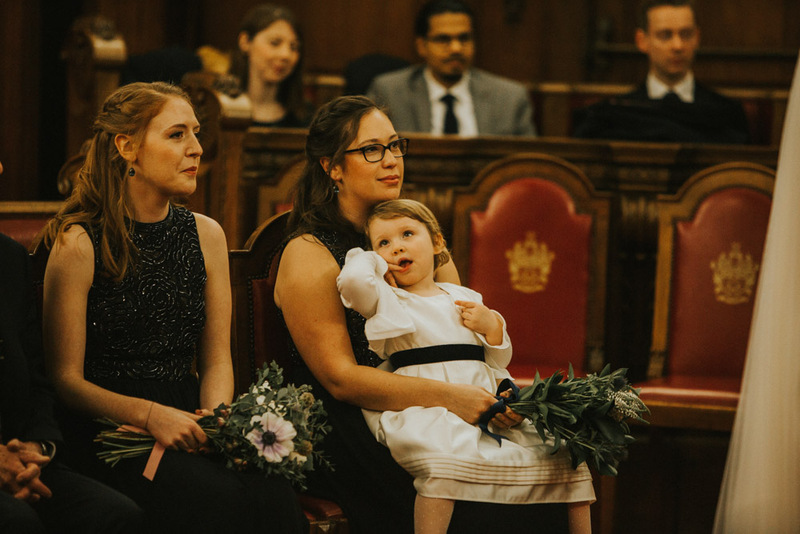 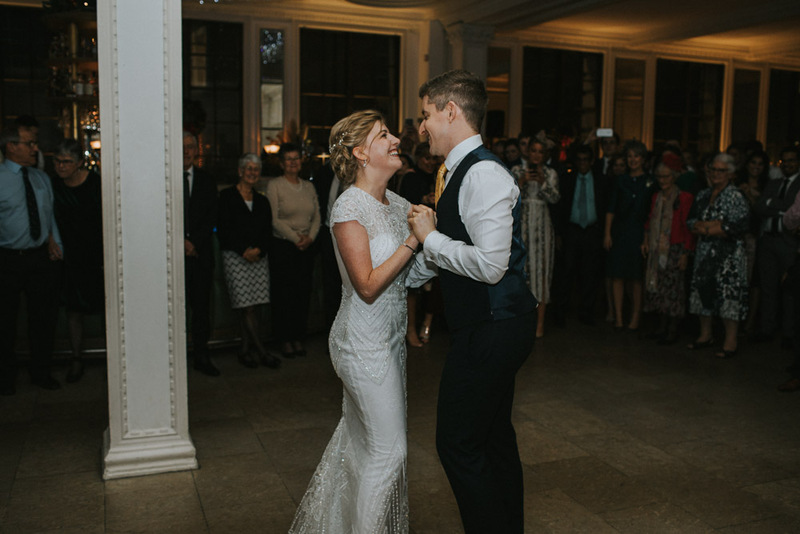 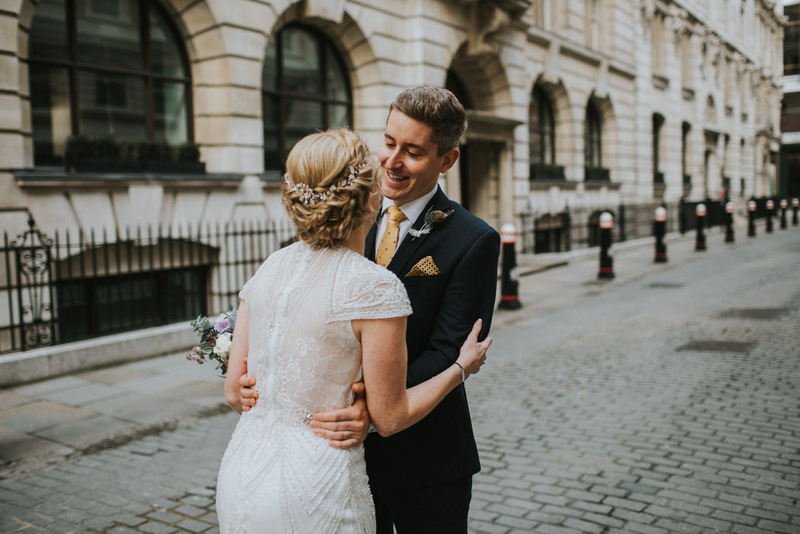 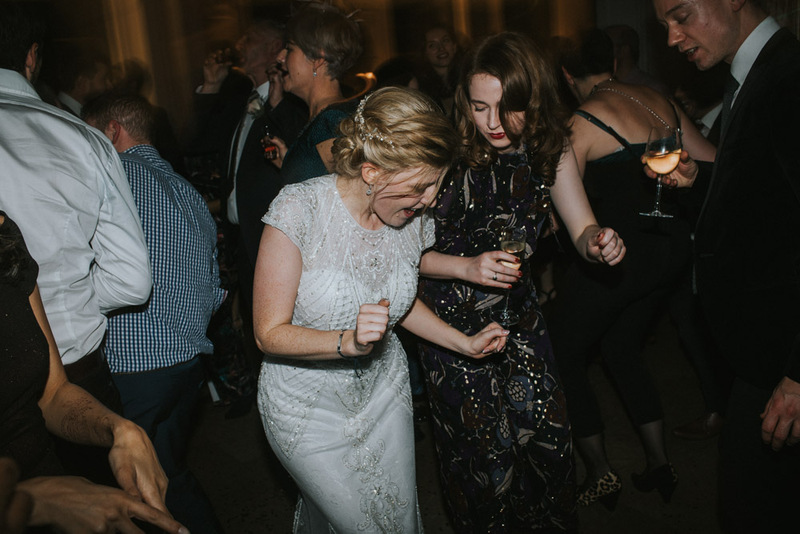 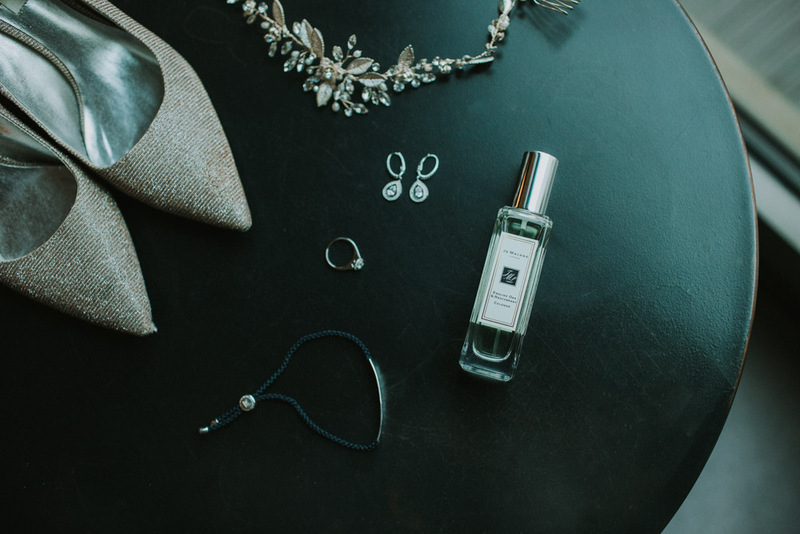 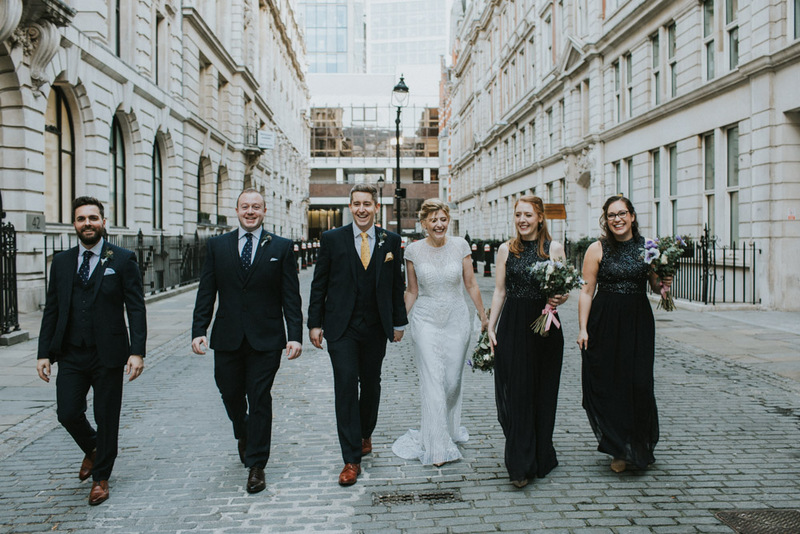 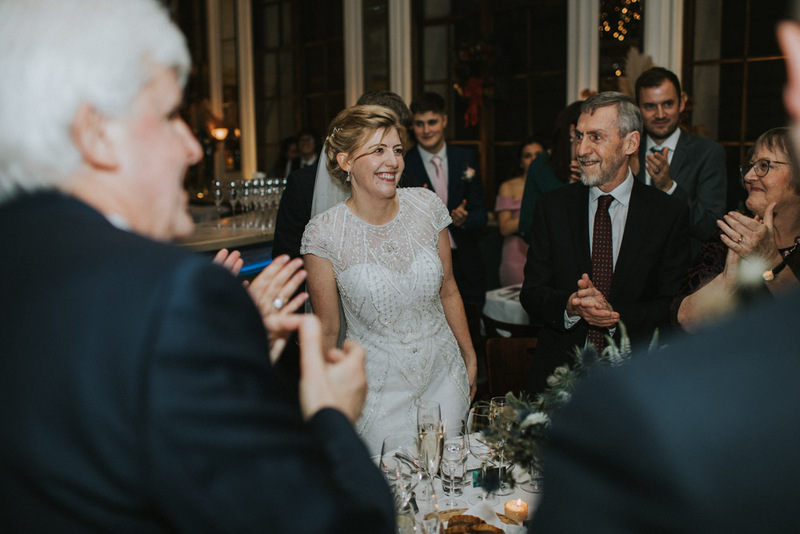 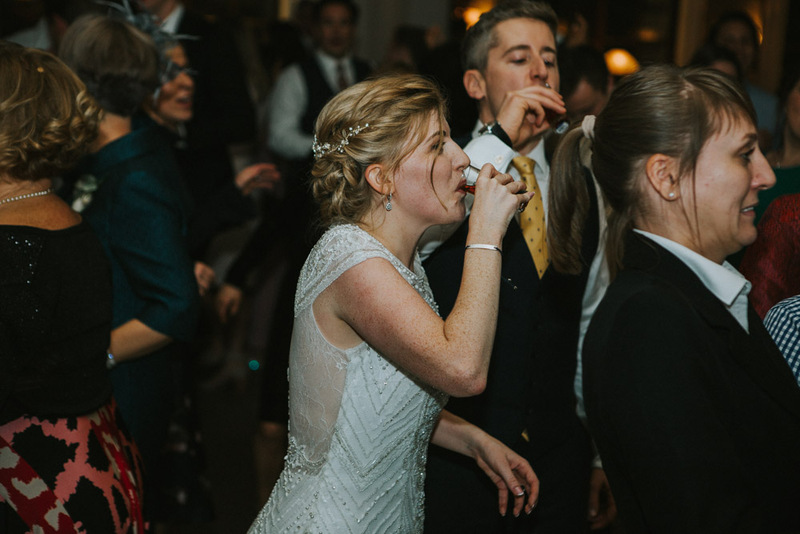 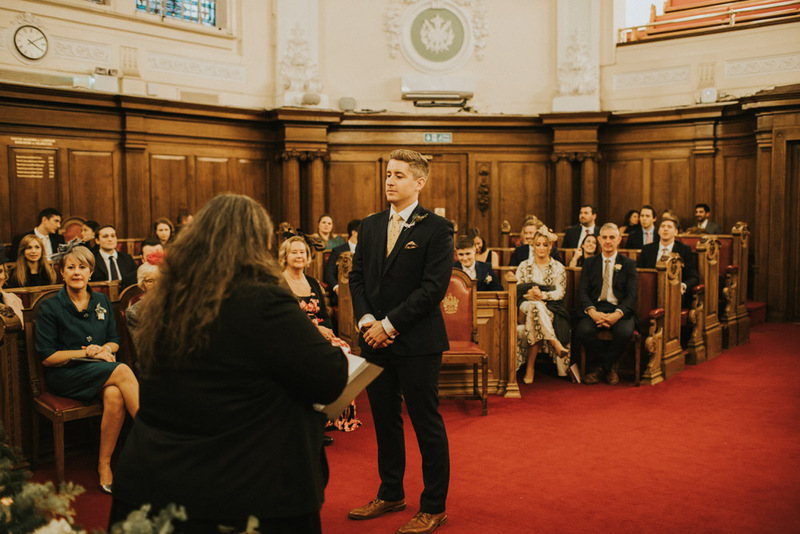 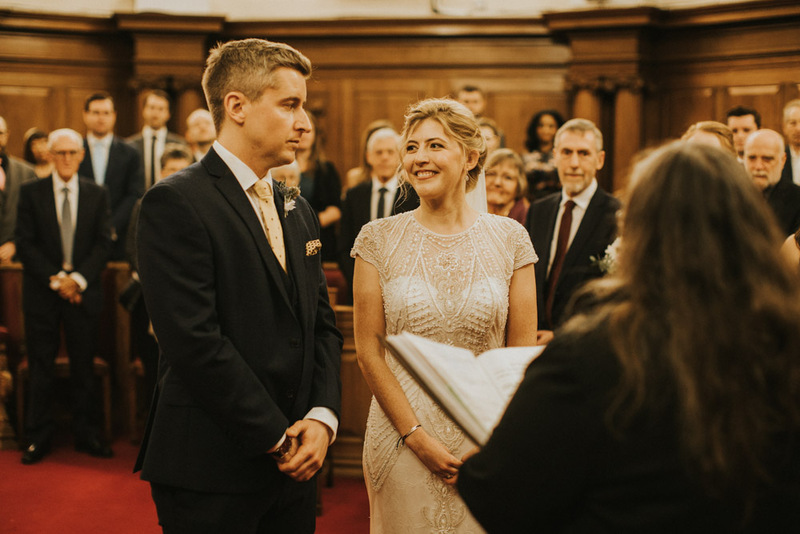 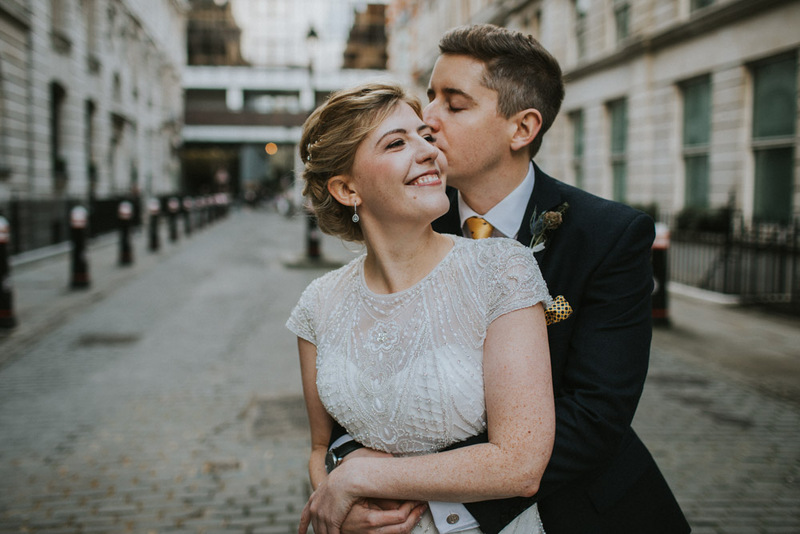 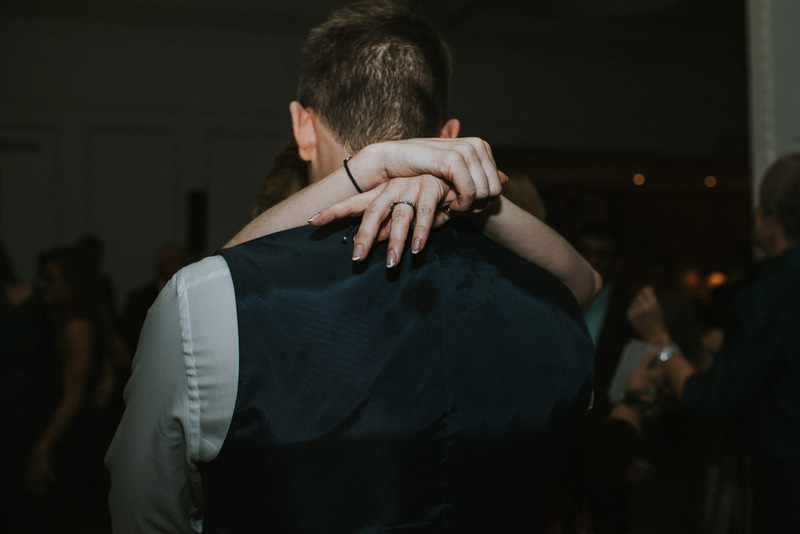 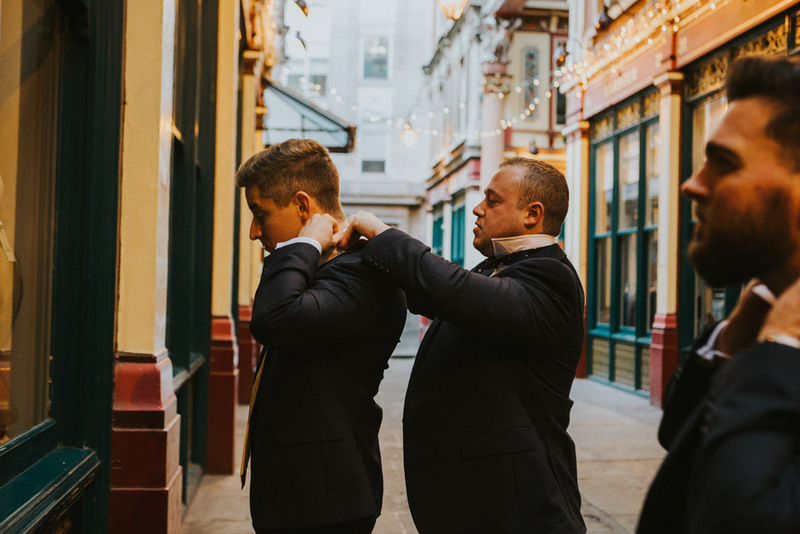 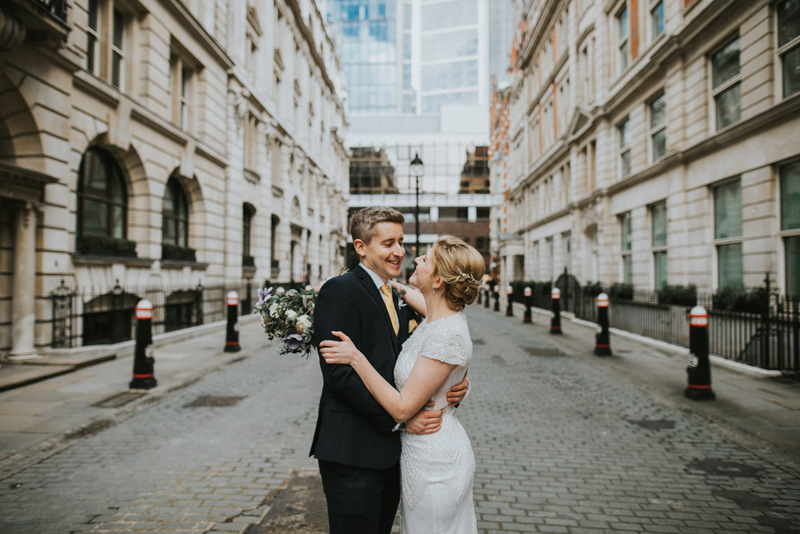 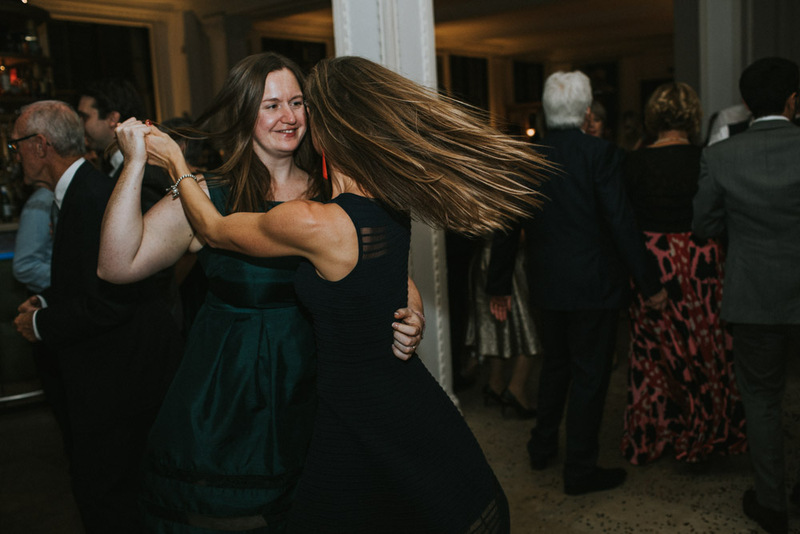 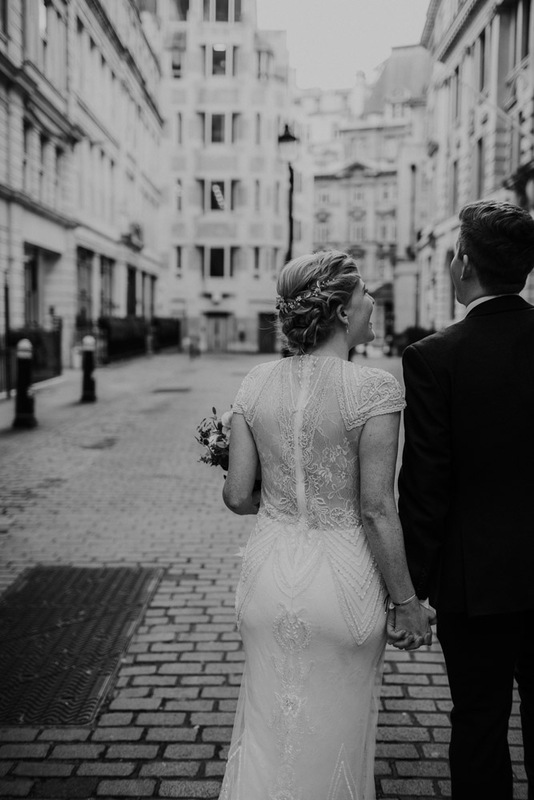 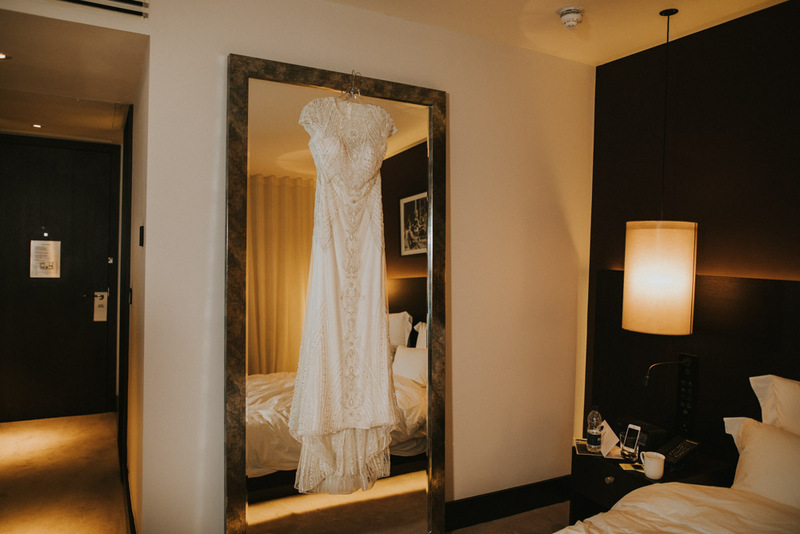 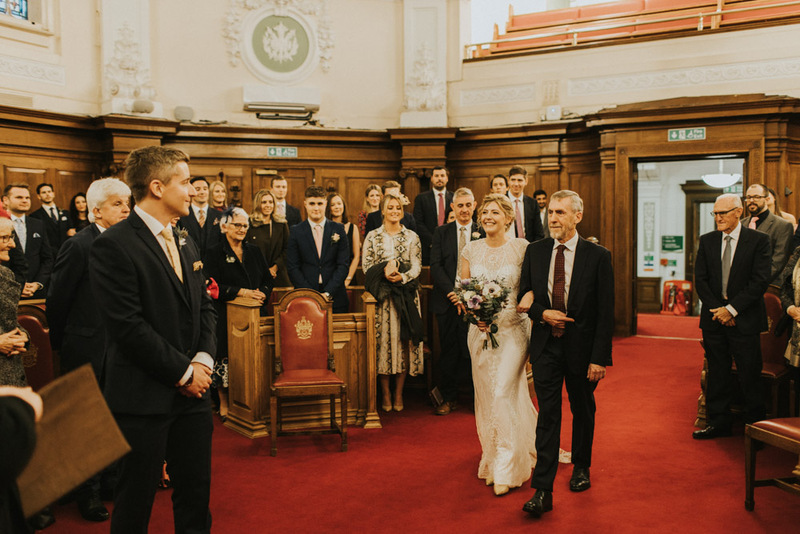 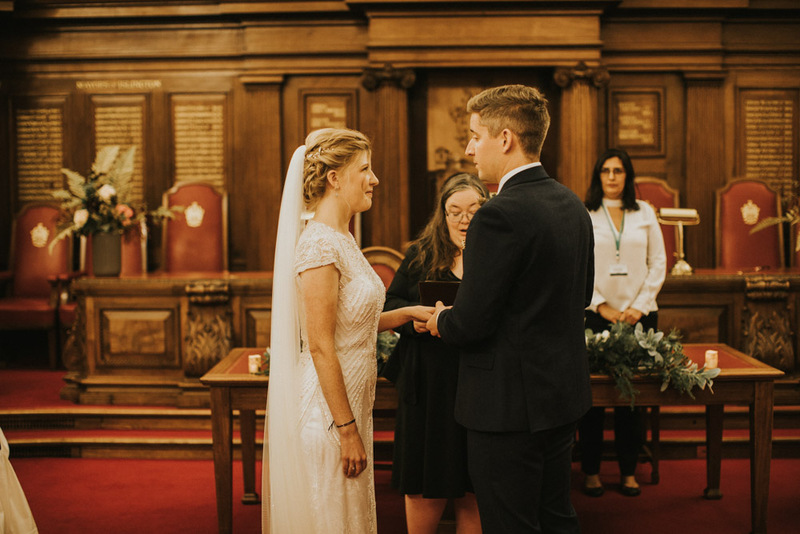 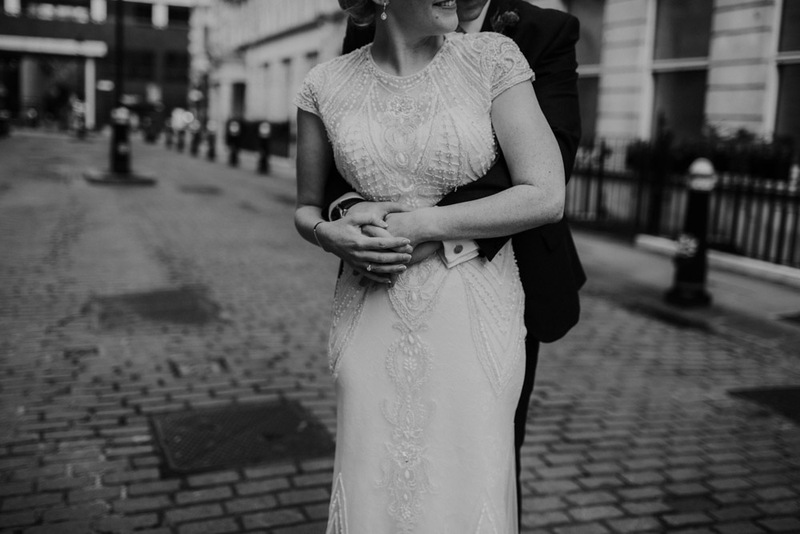 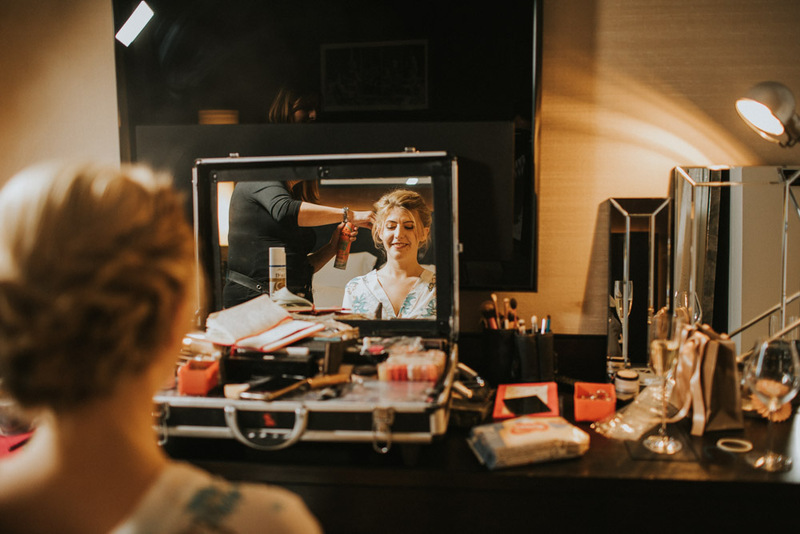 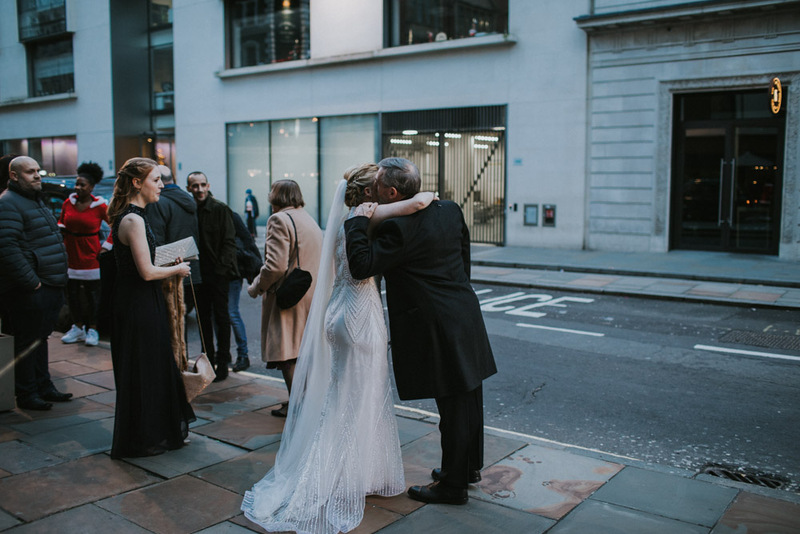 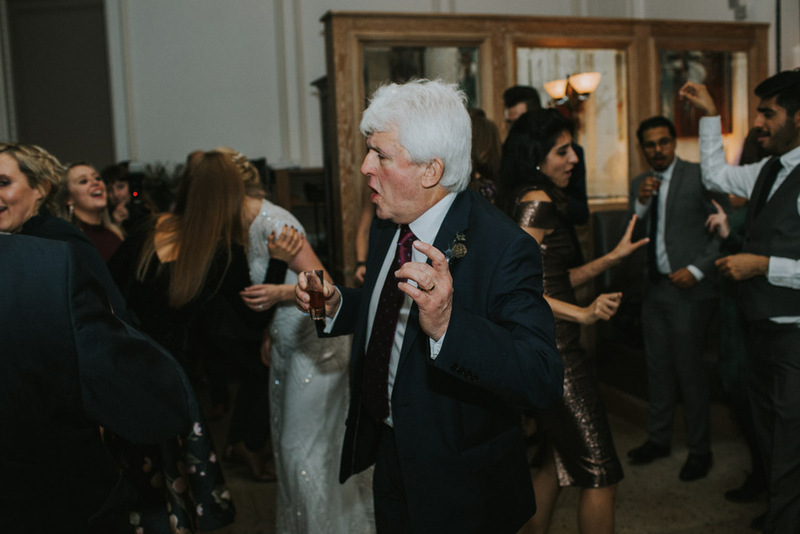 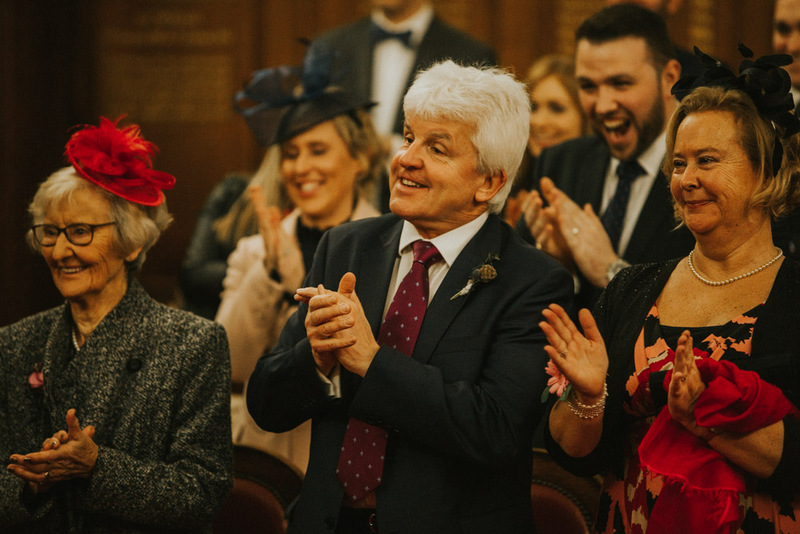 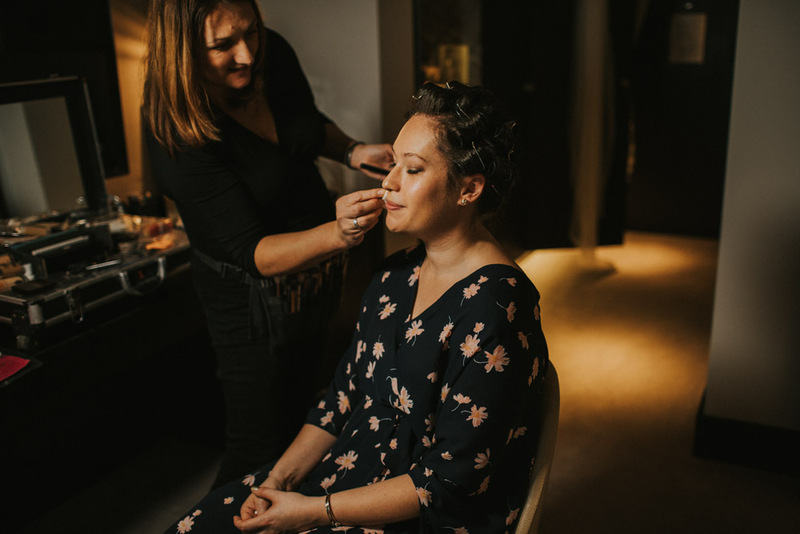 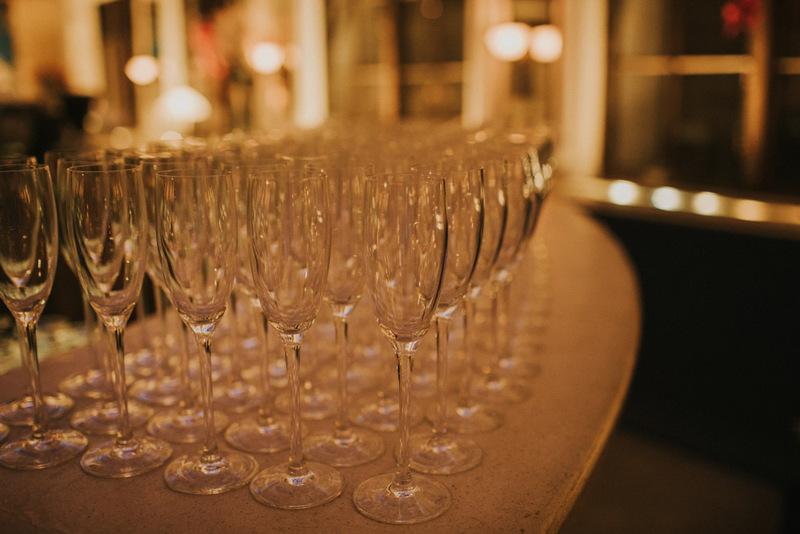 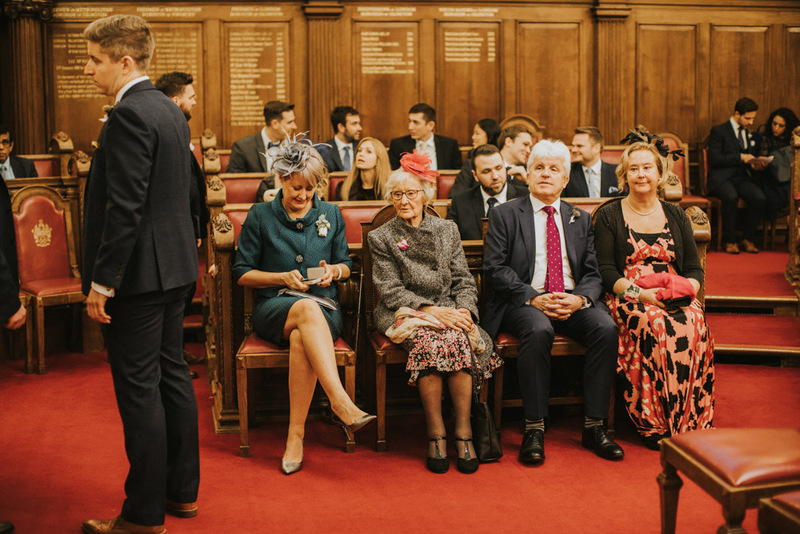 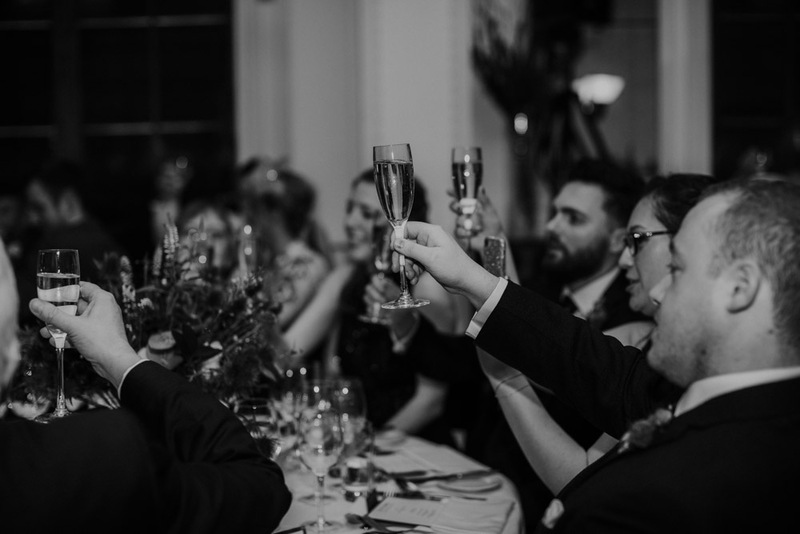 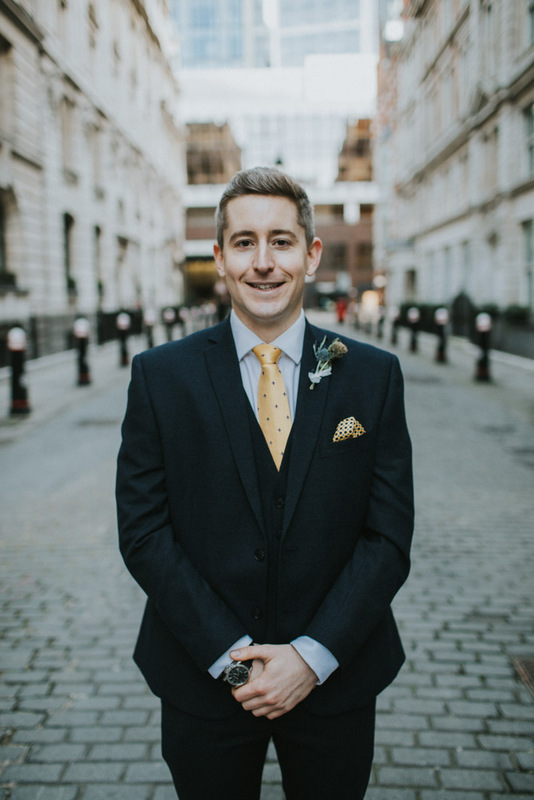 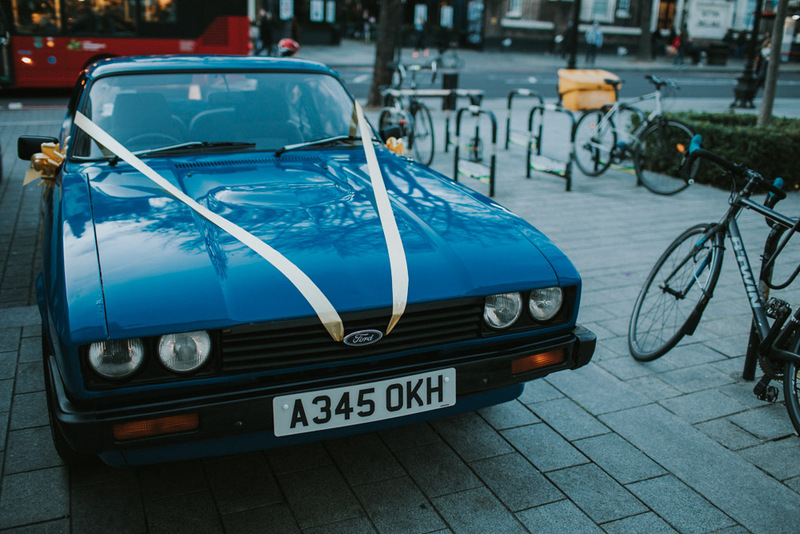 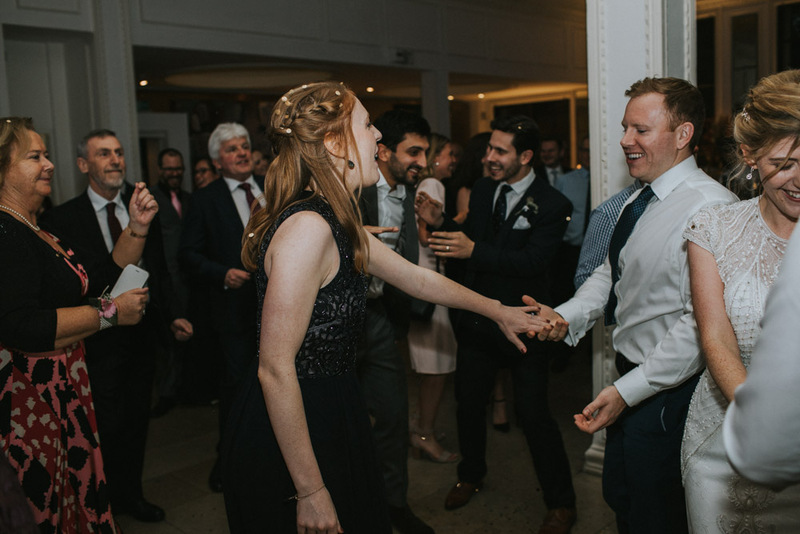 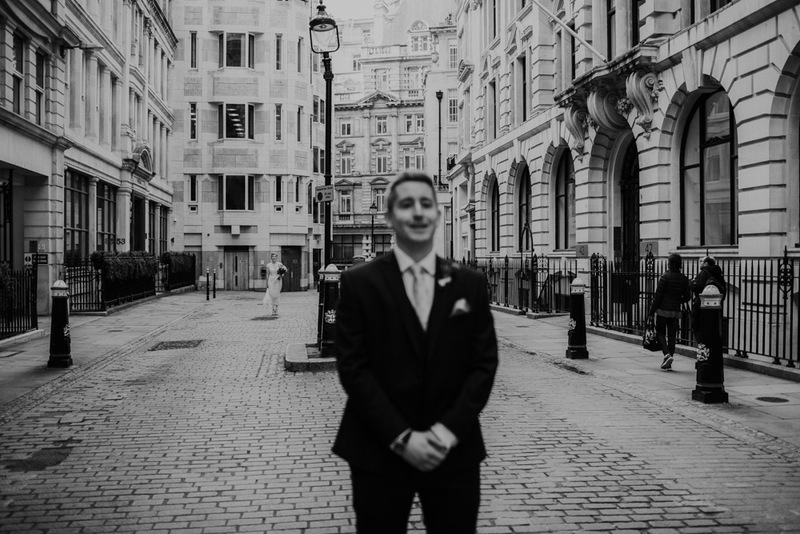 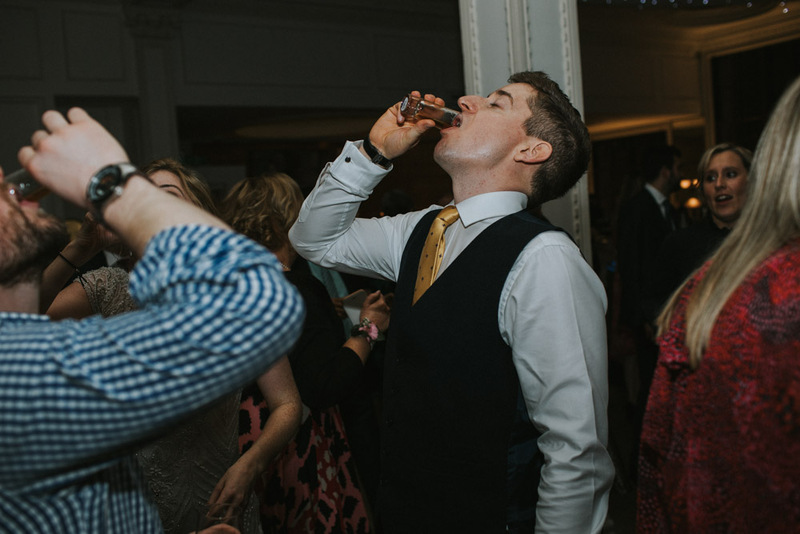 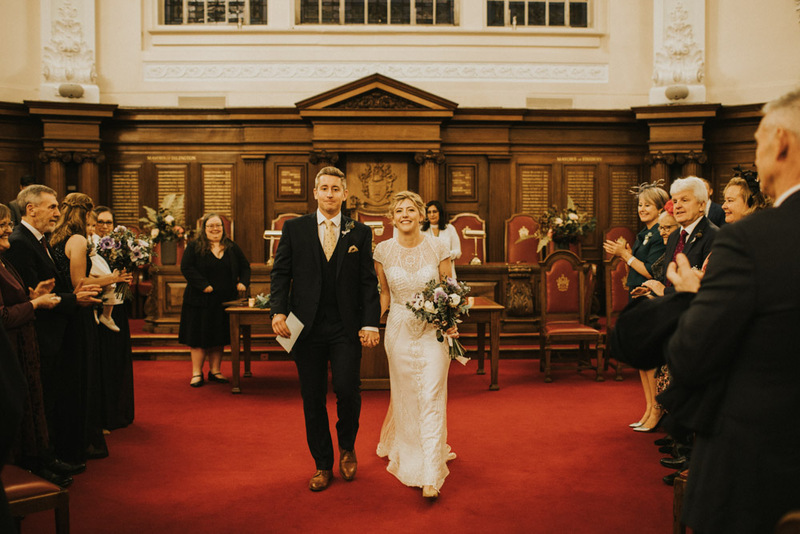 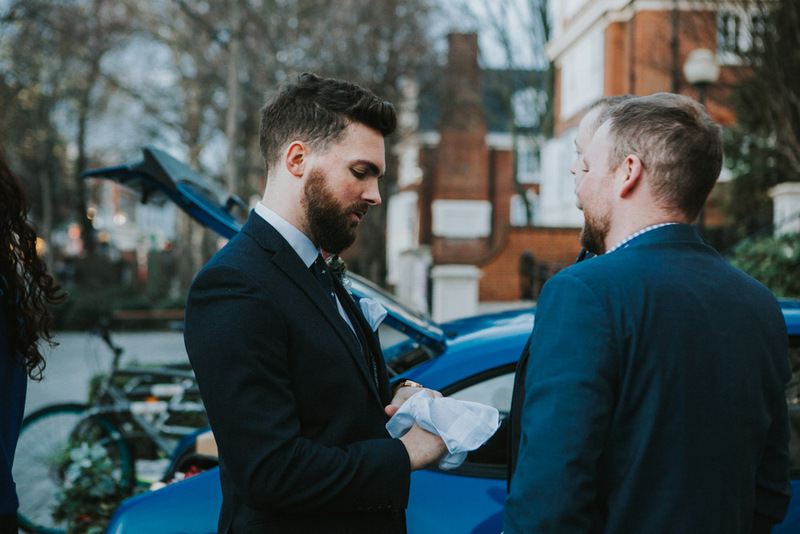 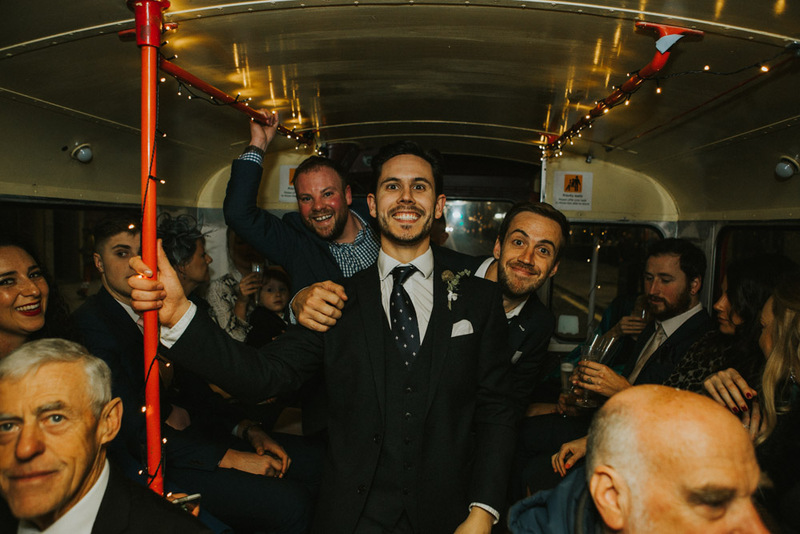 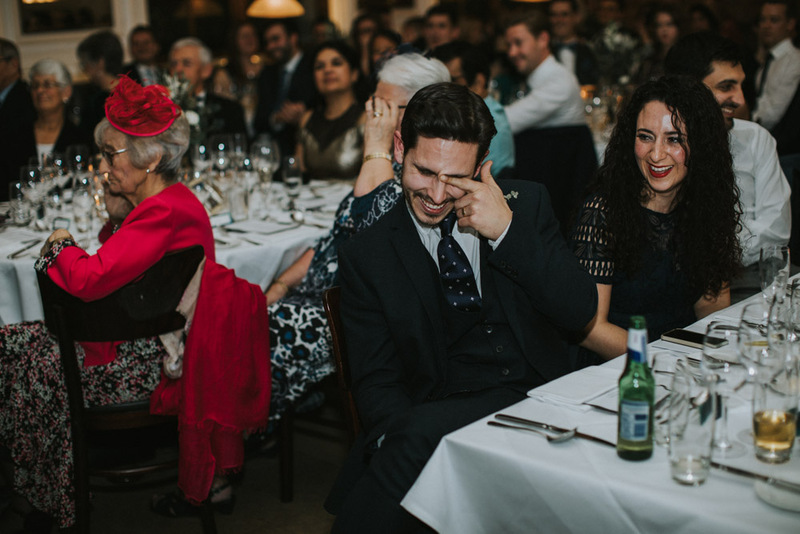 Just add on that it’s a London Wedding and we were reaching all kinds of epic! 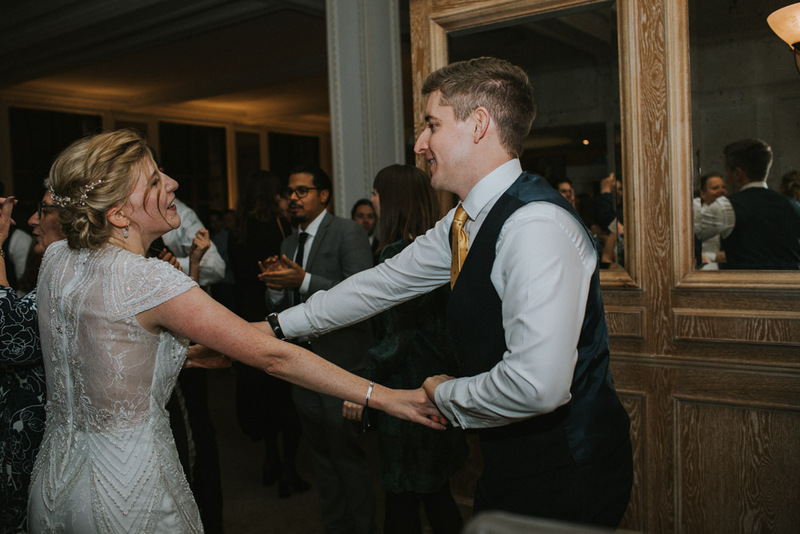 Liz & James, my word, you really have made Christmas 2018 one to remember that’s for sure! 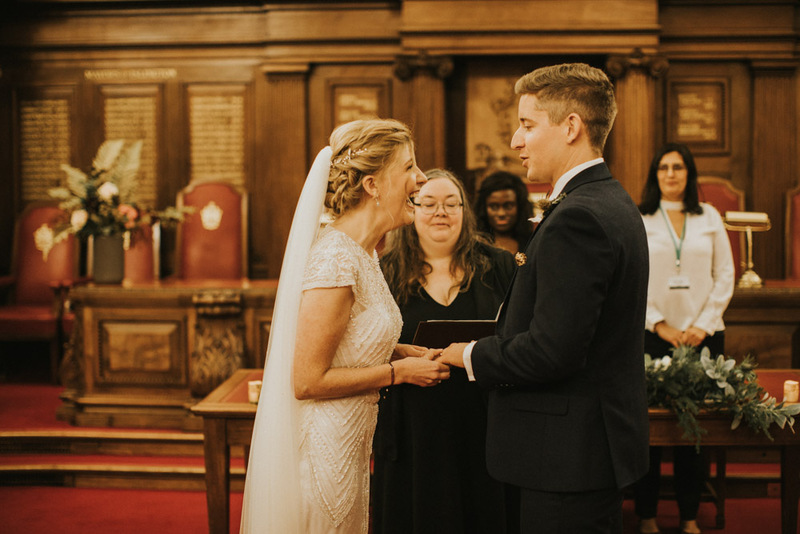 A massive congratulations!